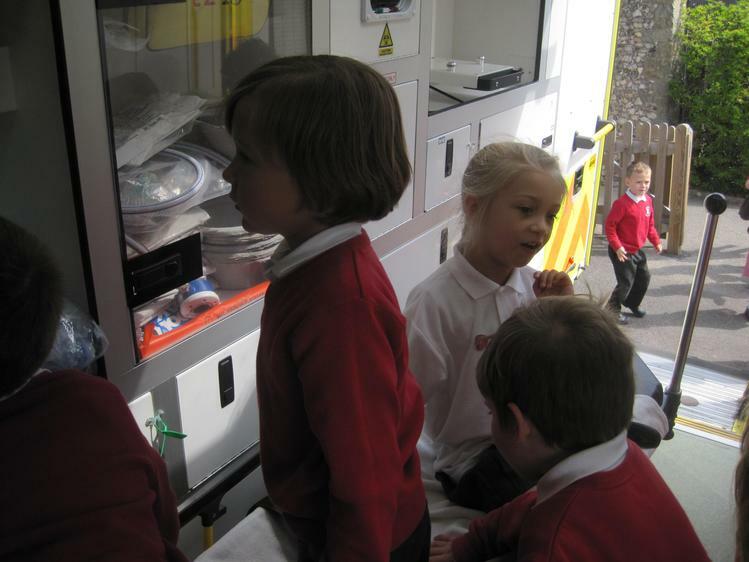 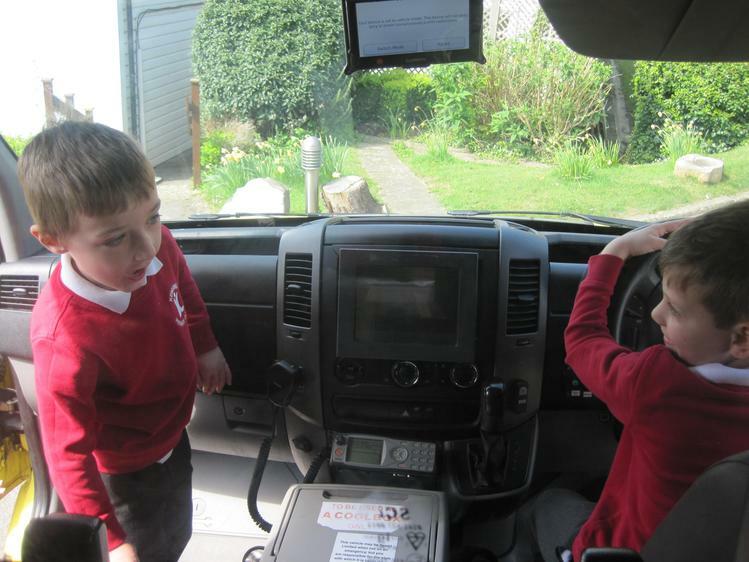 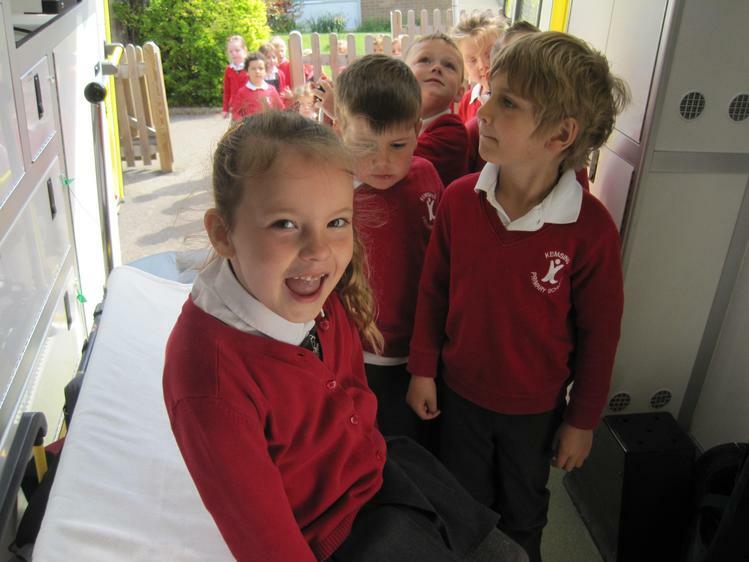 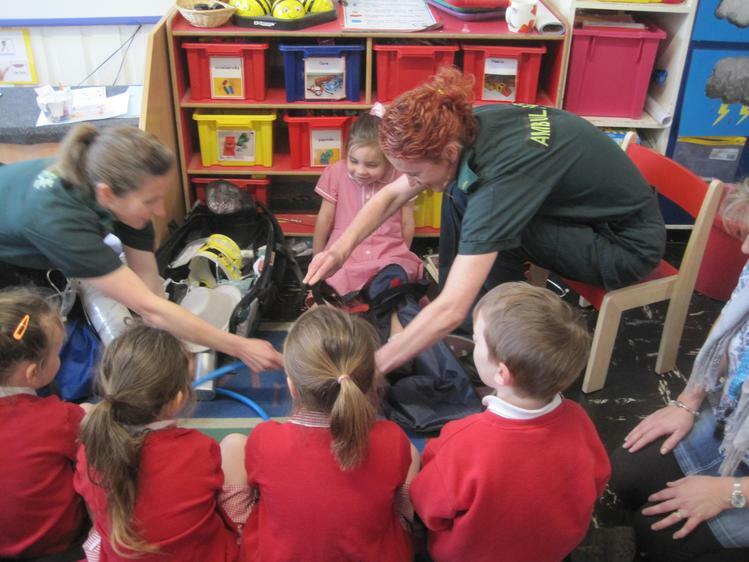 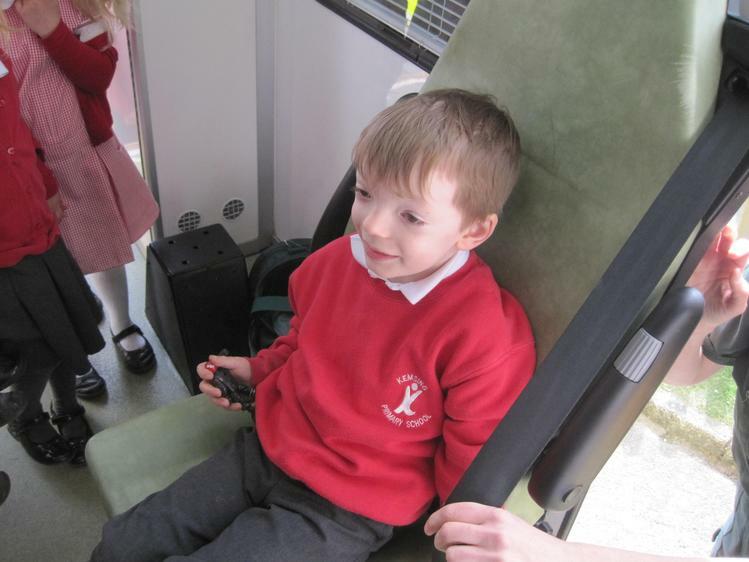 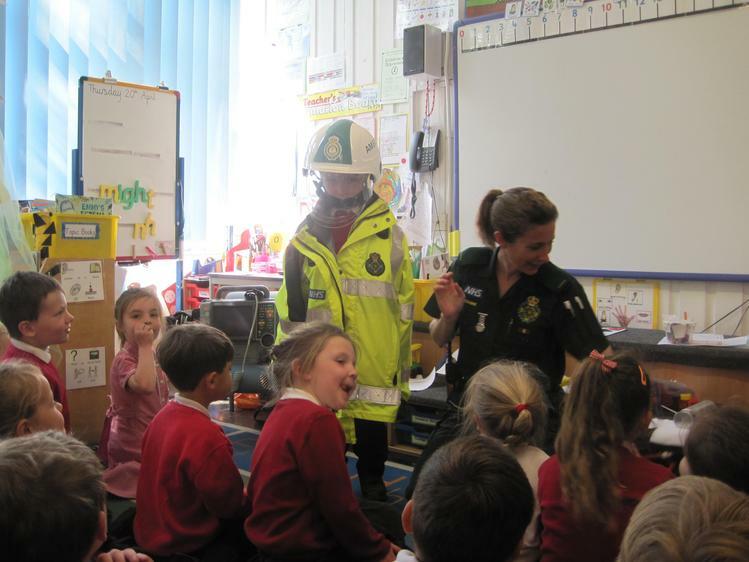 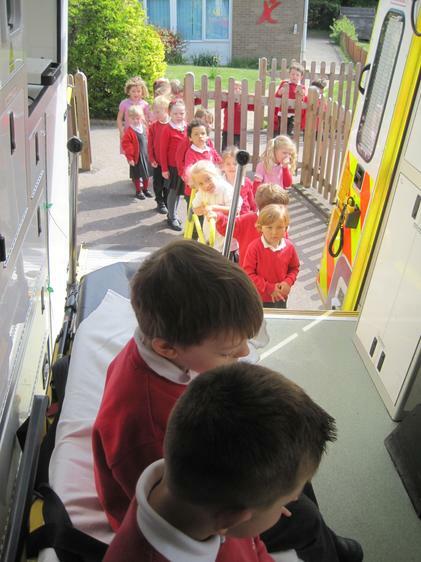 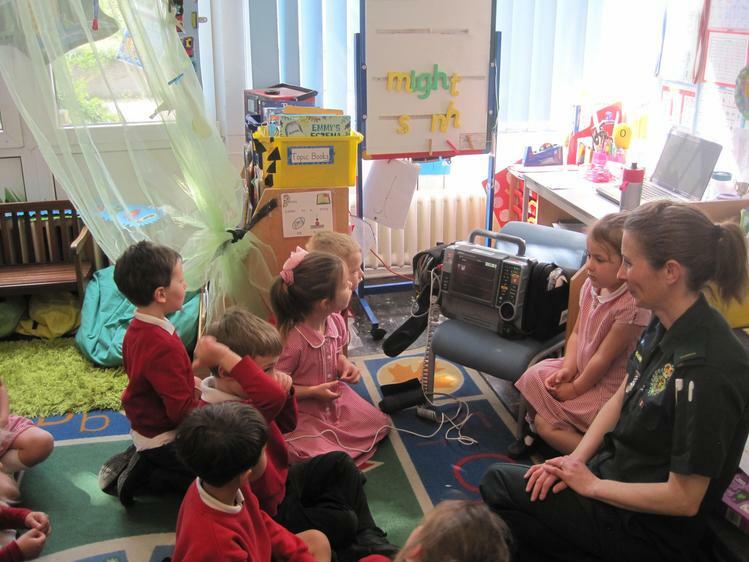 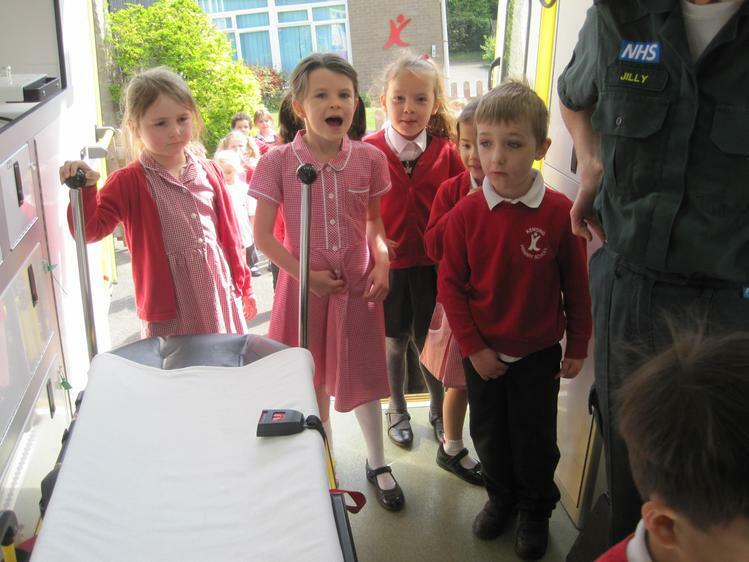 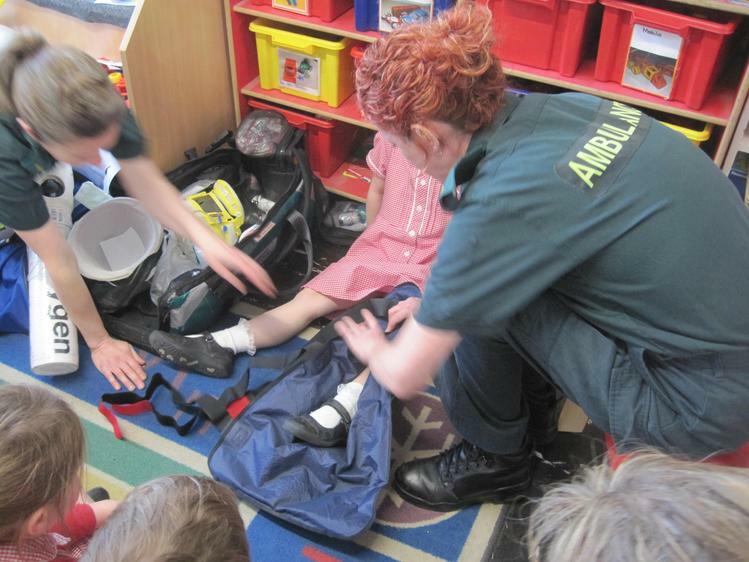 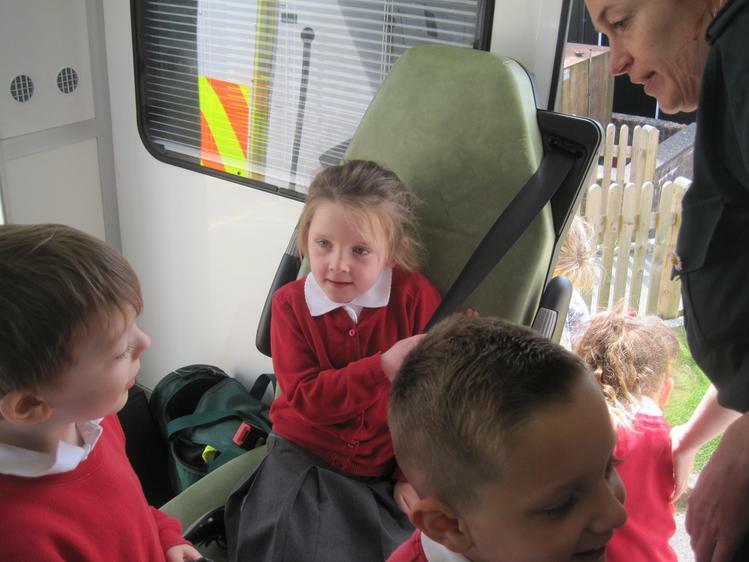 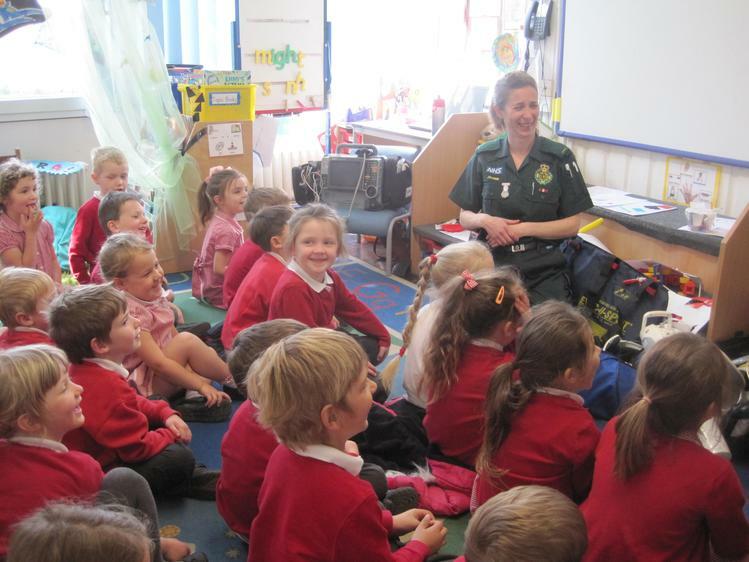 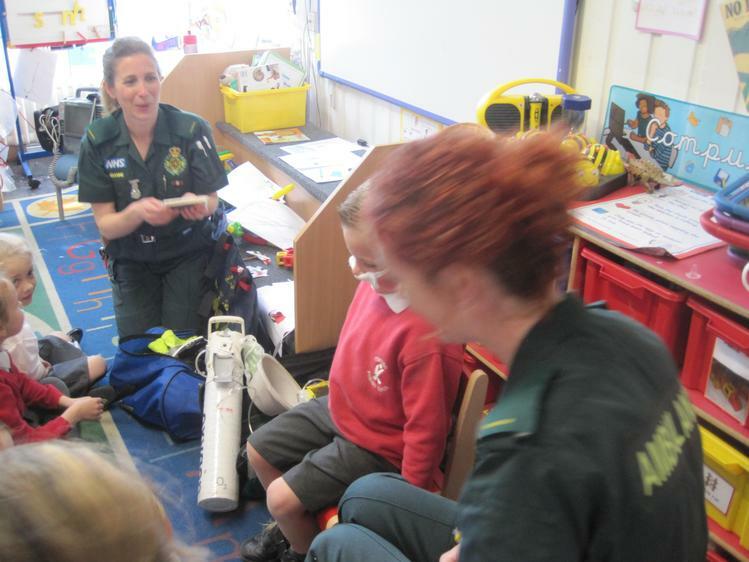 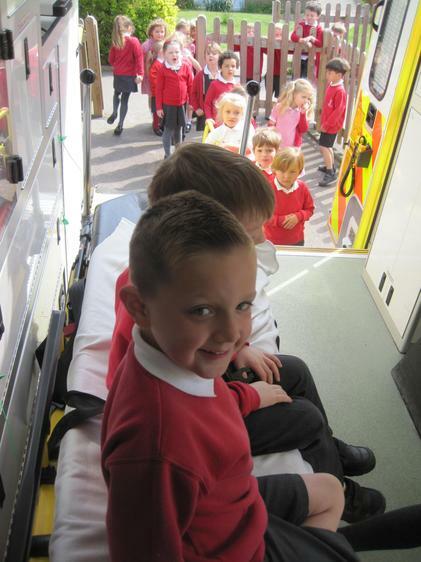 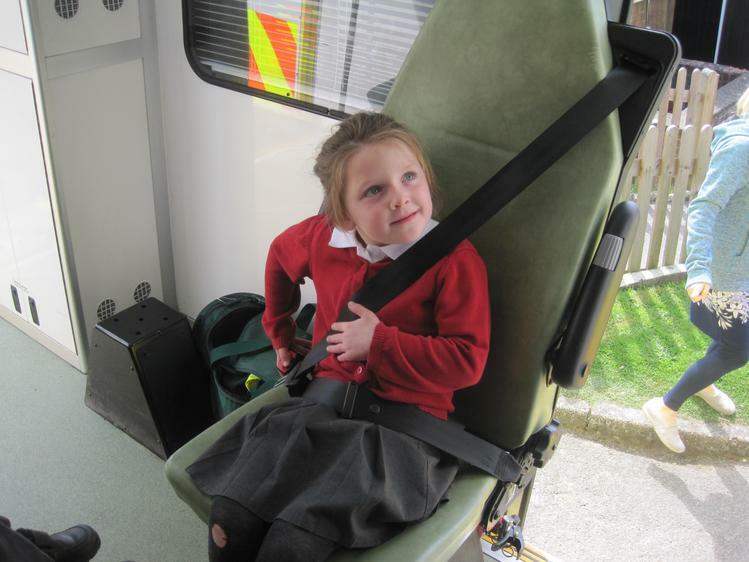 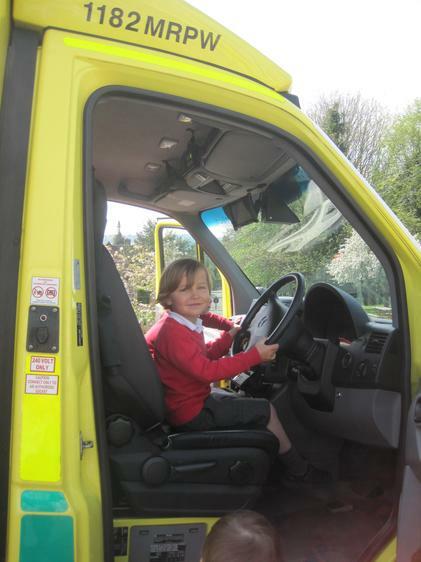 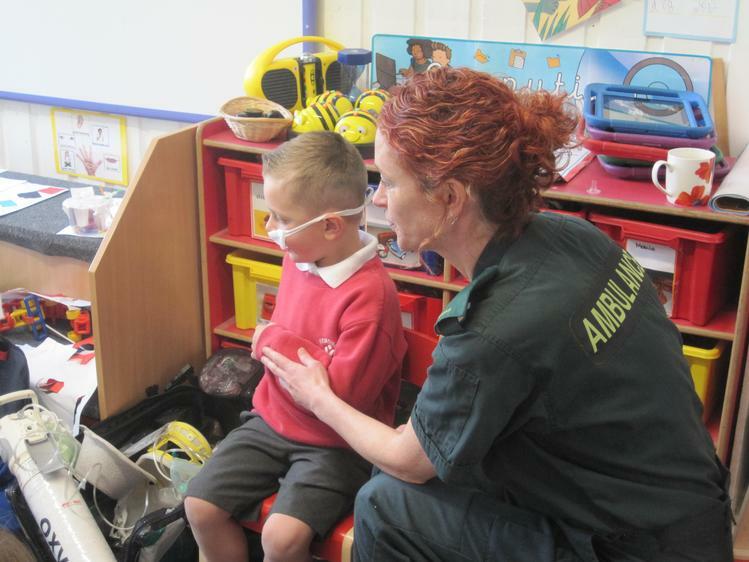 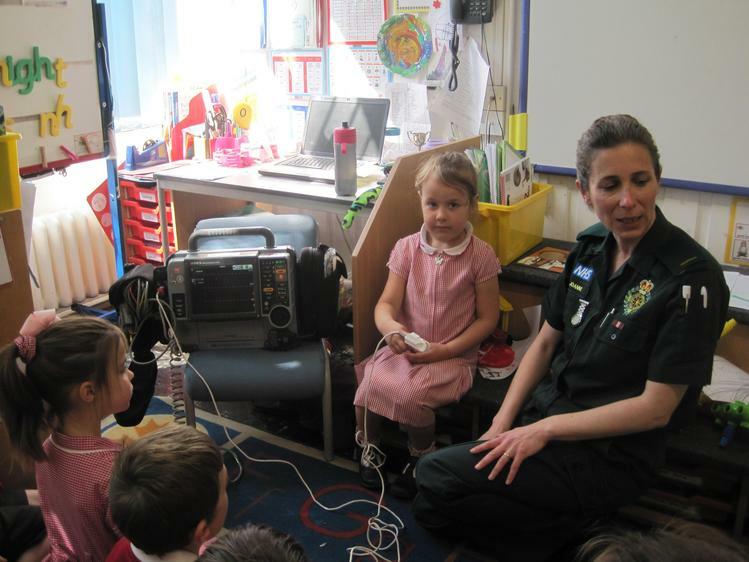 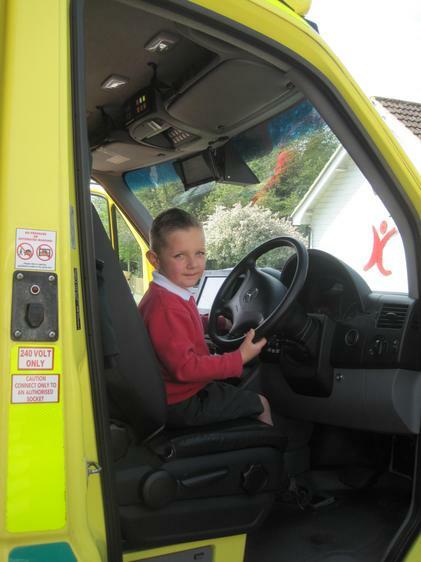 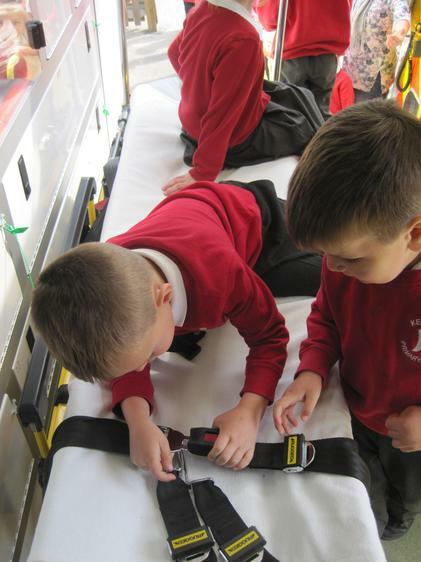 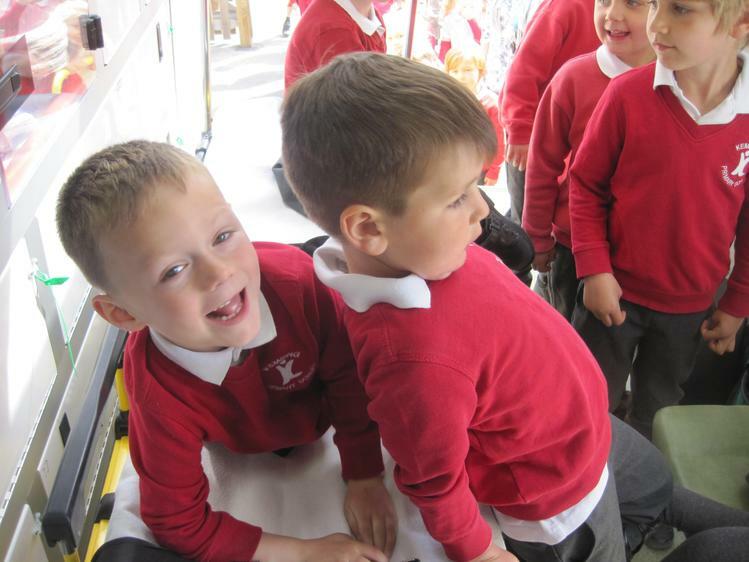 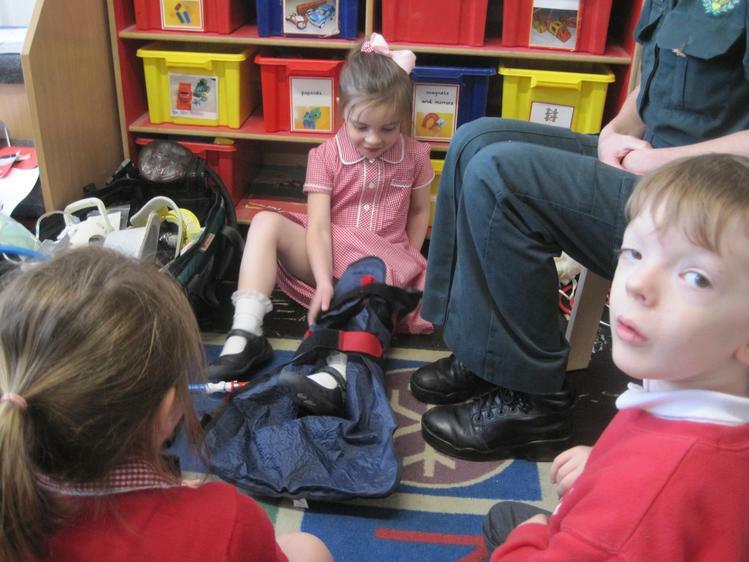 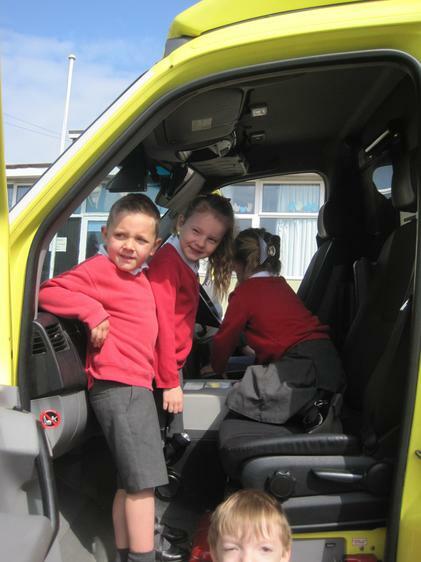 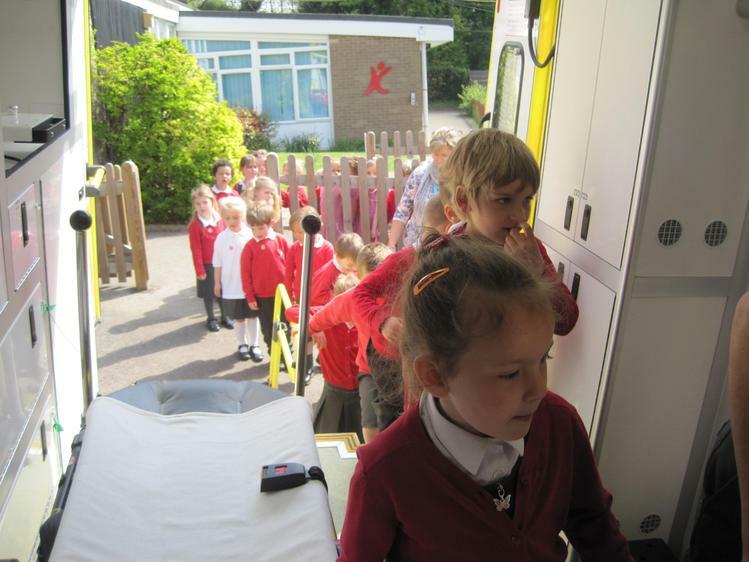 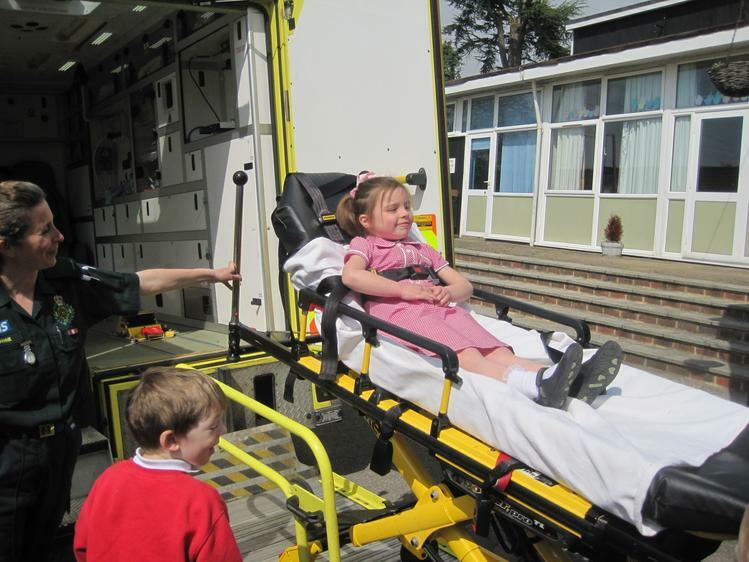 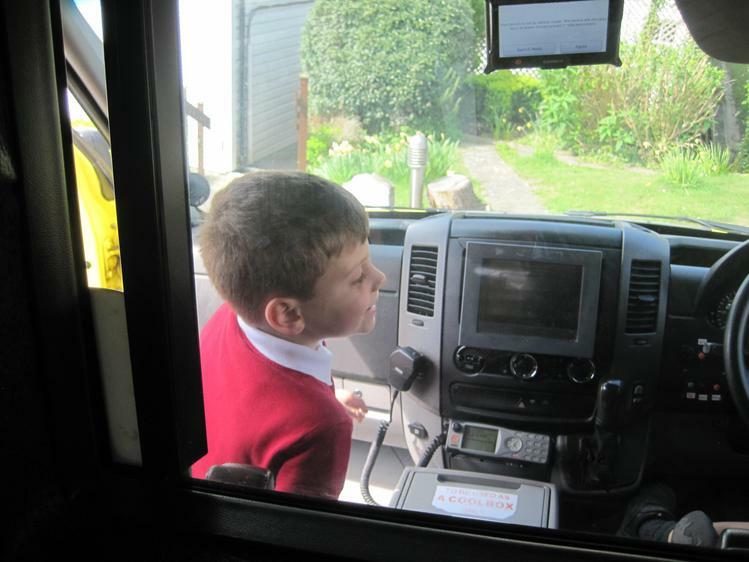 We had a visit from the Ambulance service as part of our 'people who help us' unit. 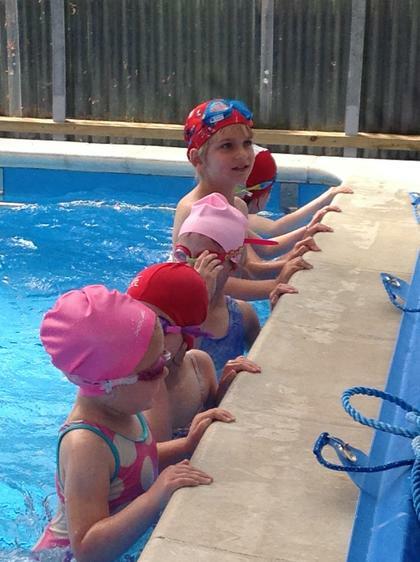 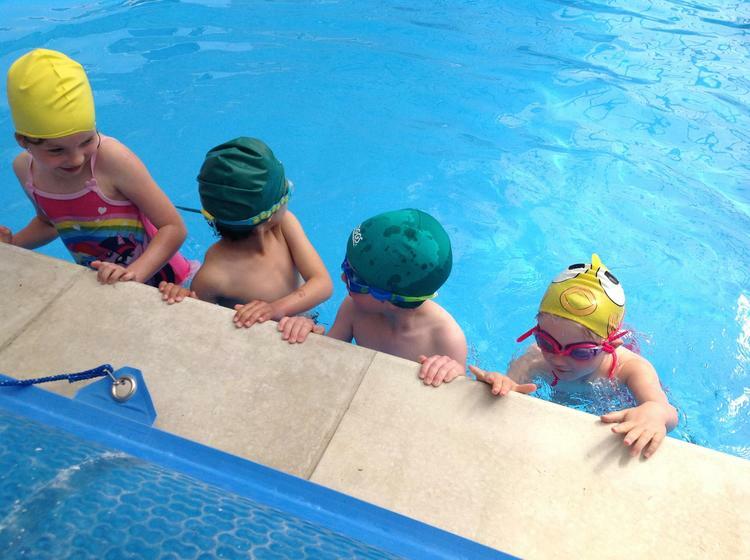 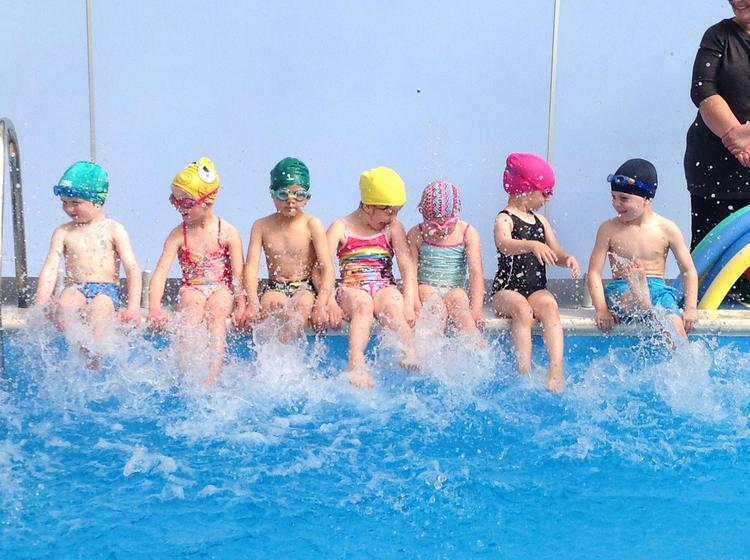 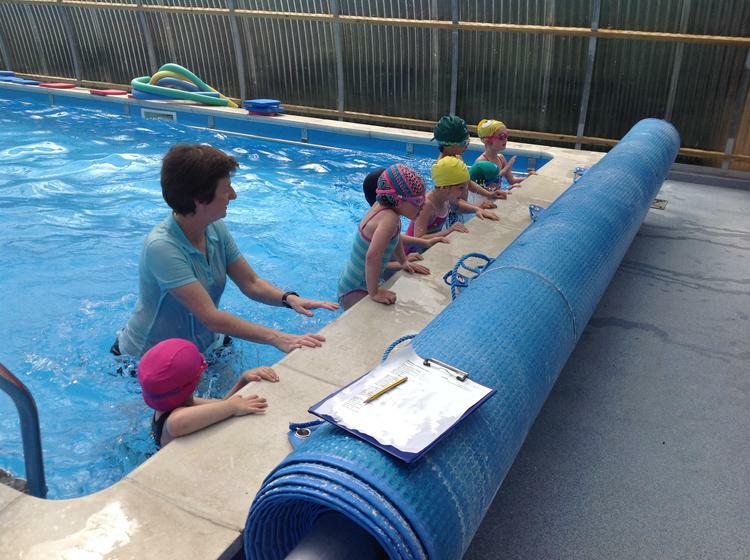 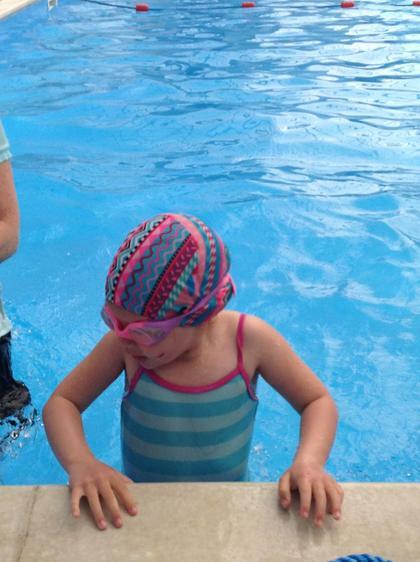 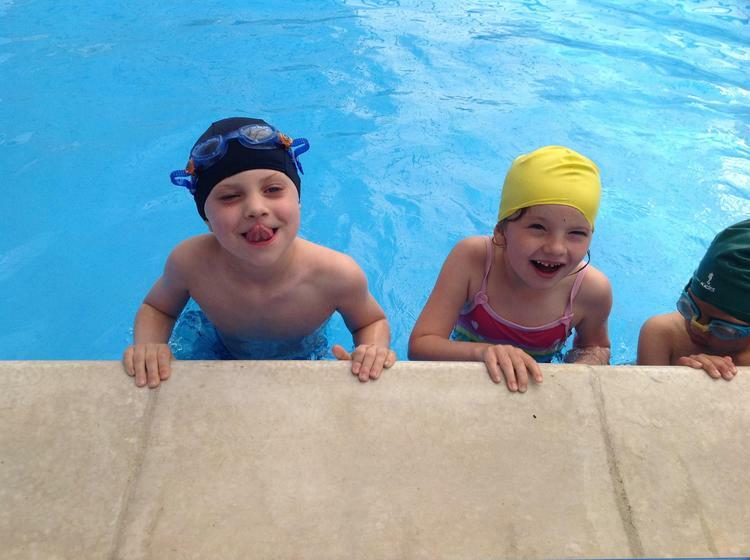 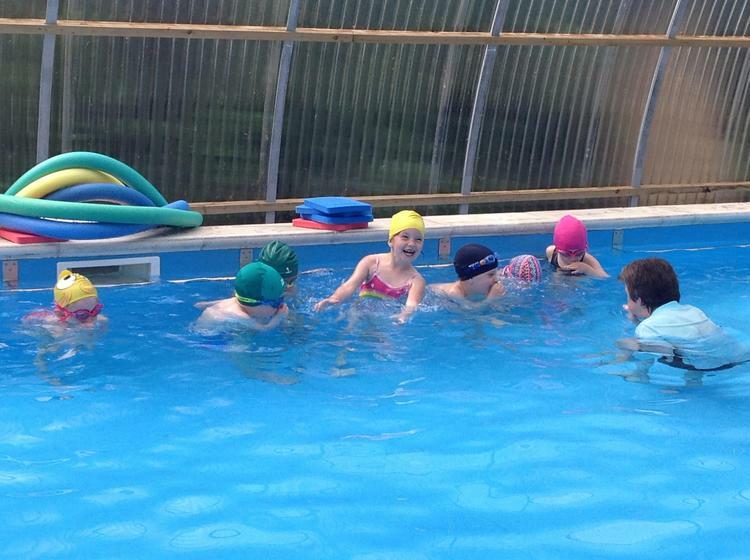 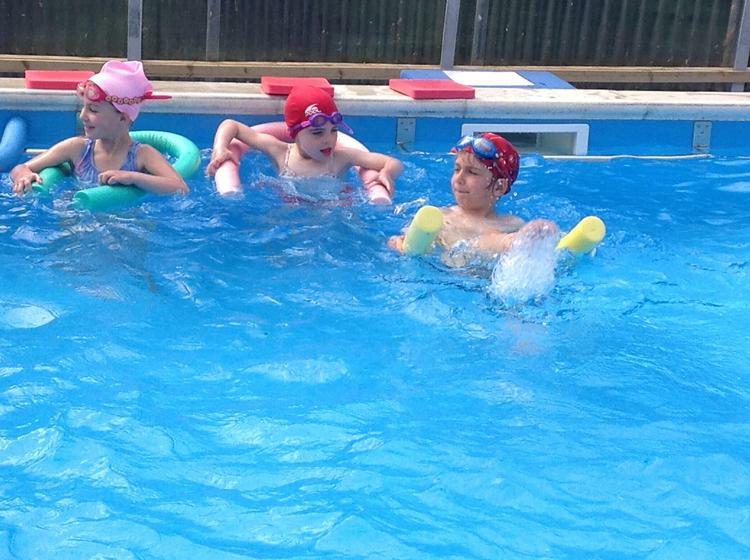 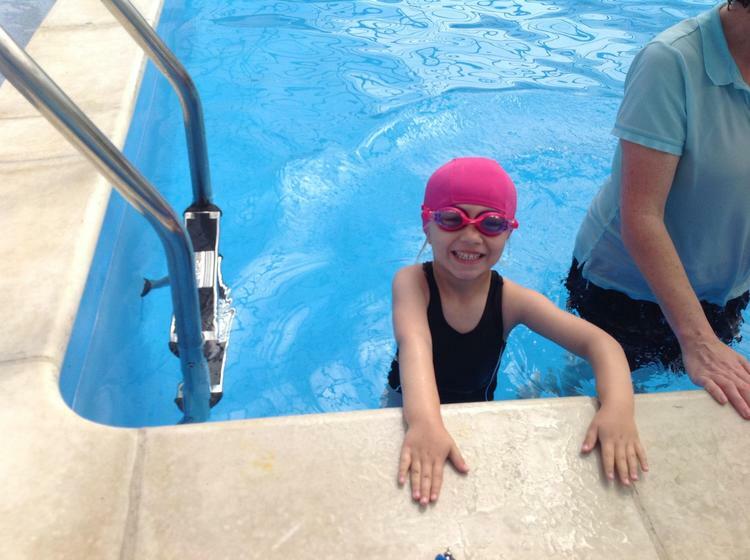 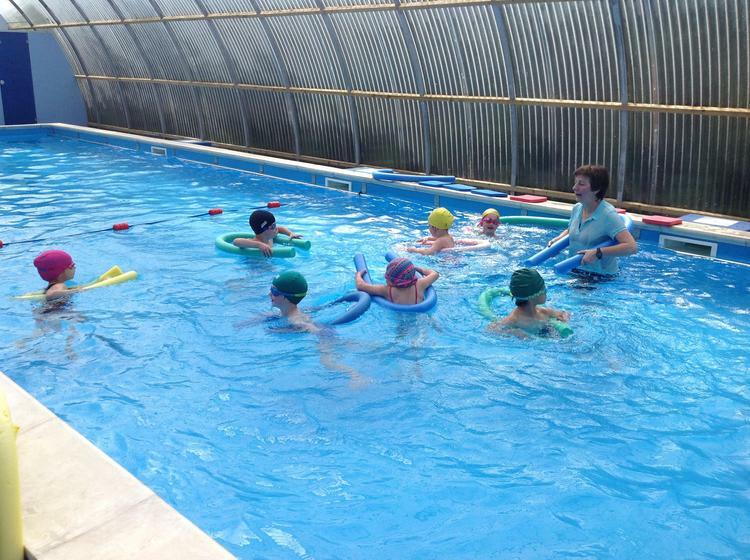 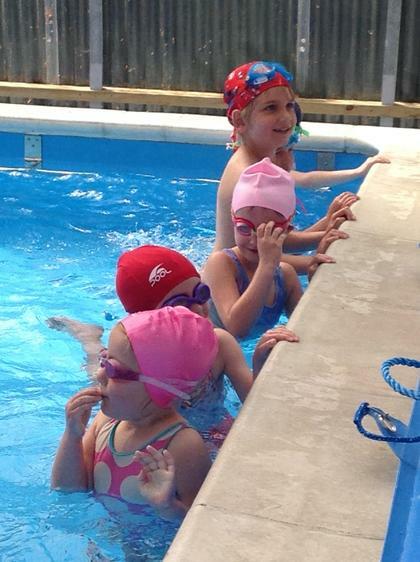 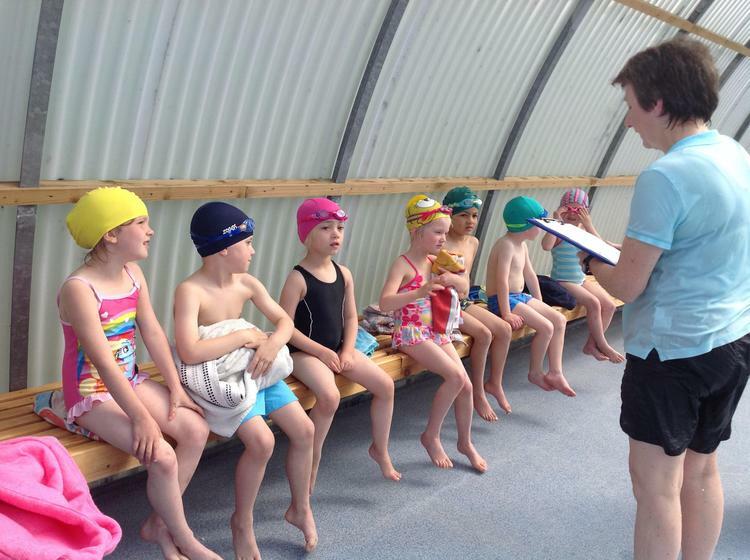 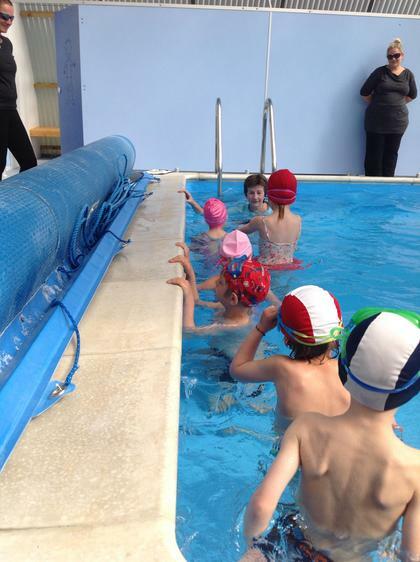 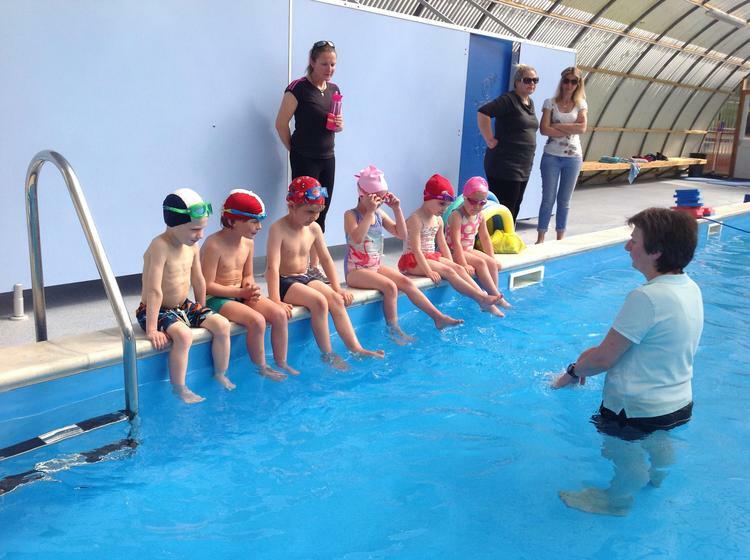 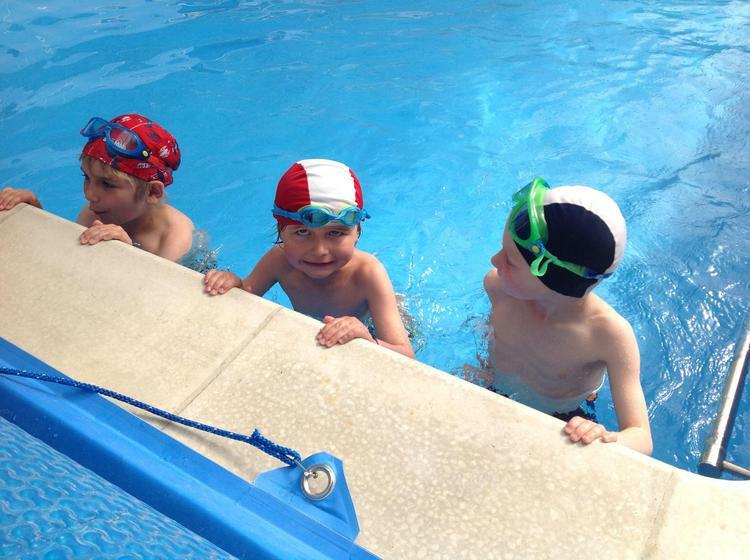 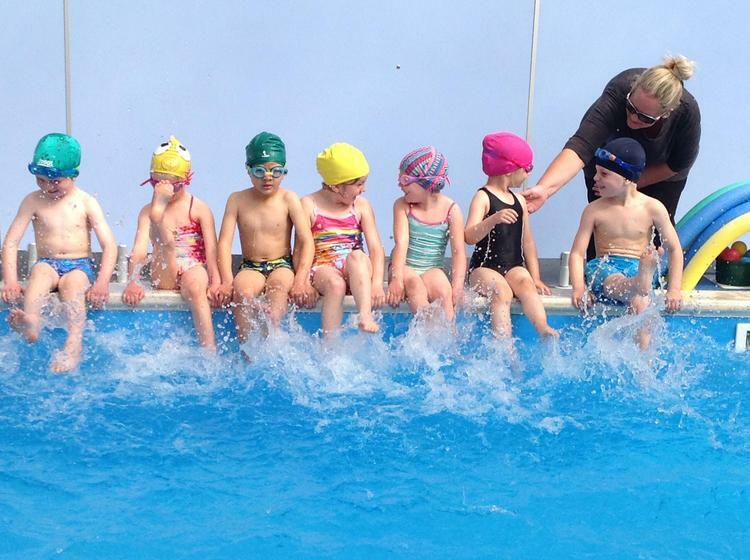 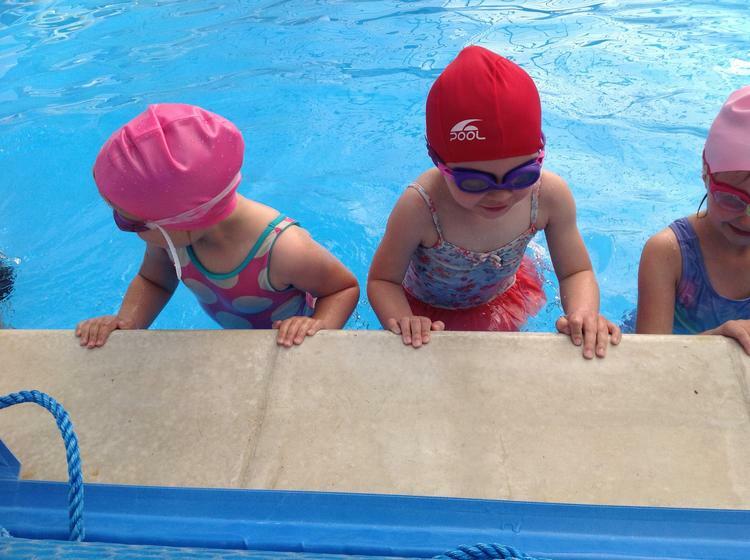 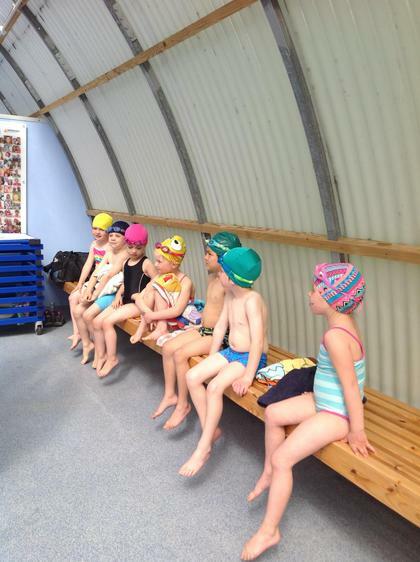 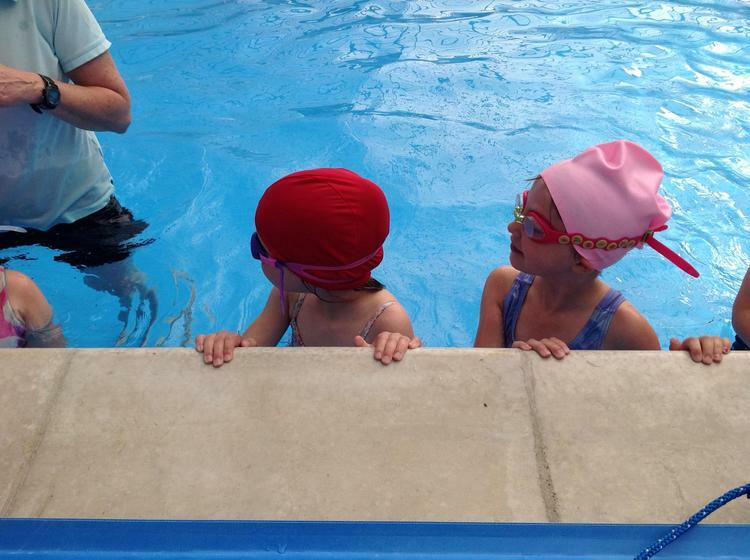 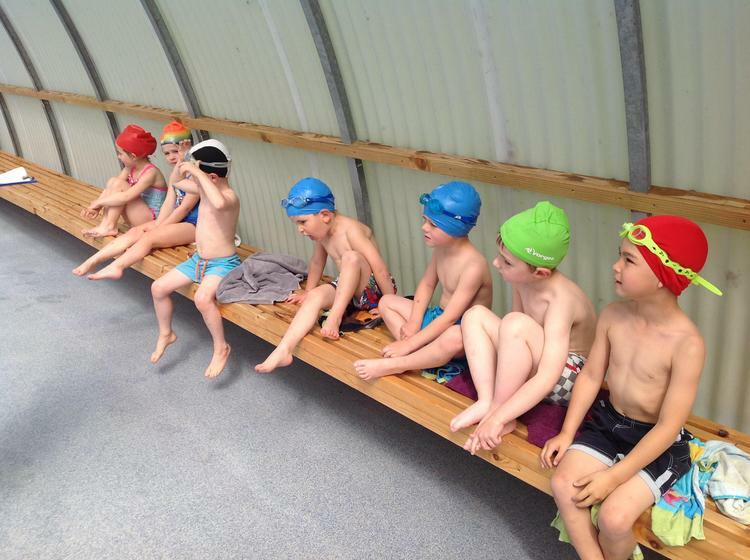 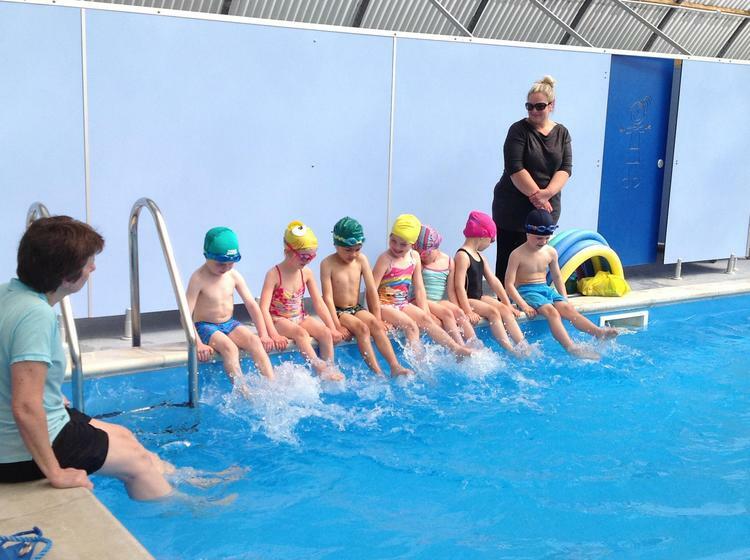 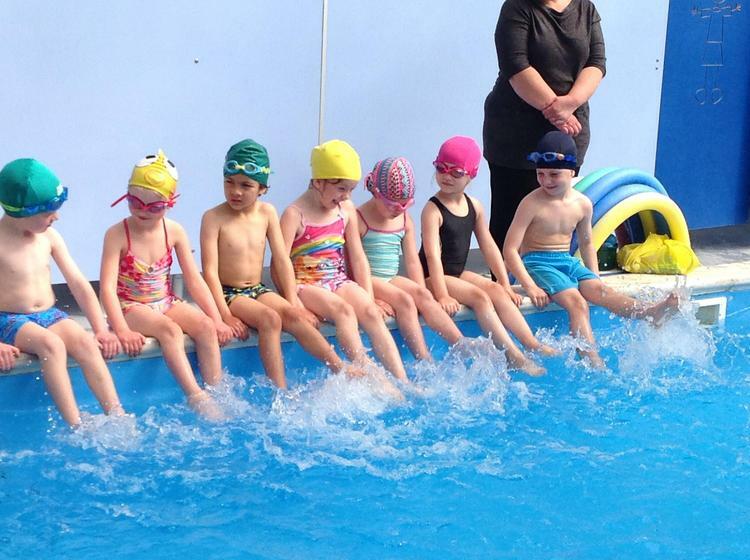 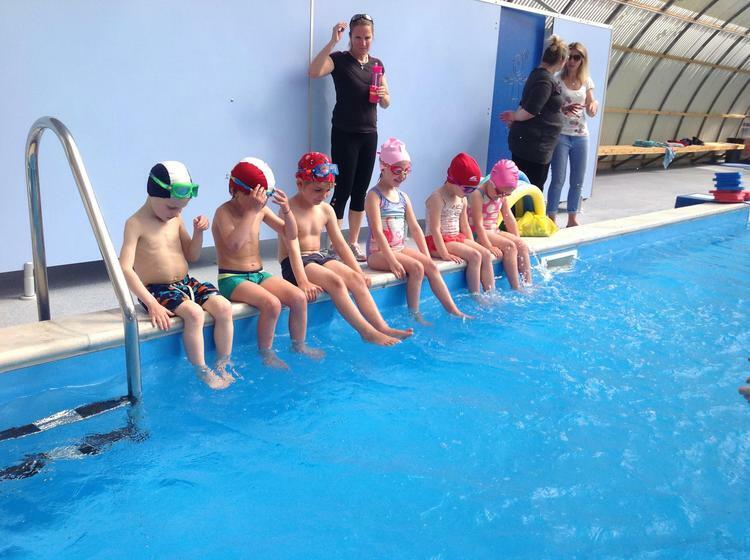 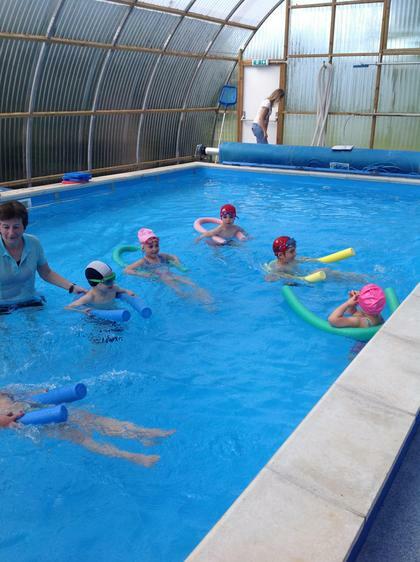 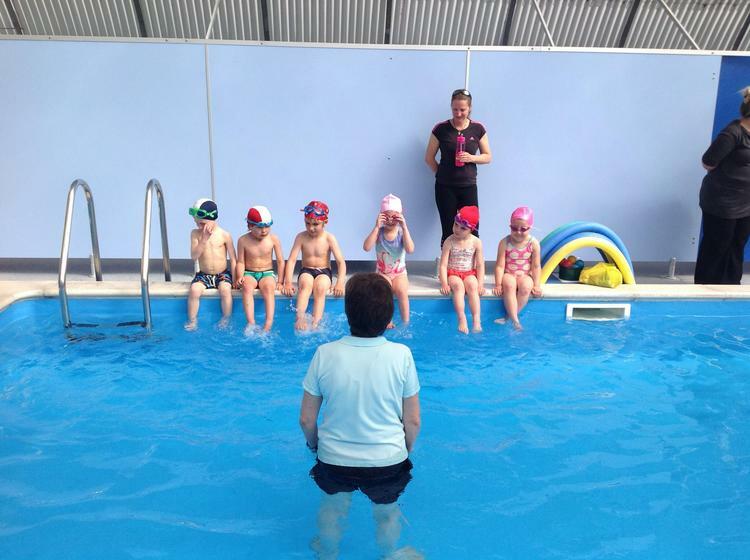 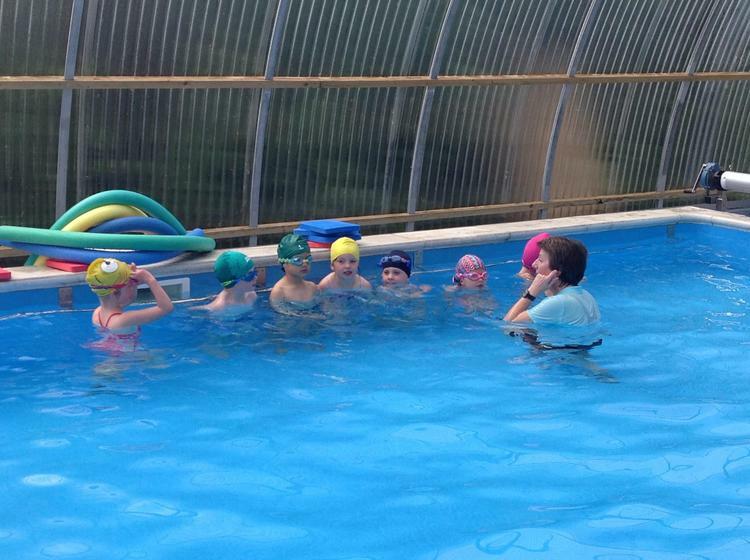 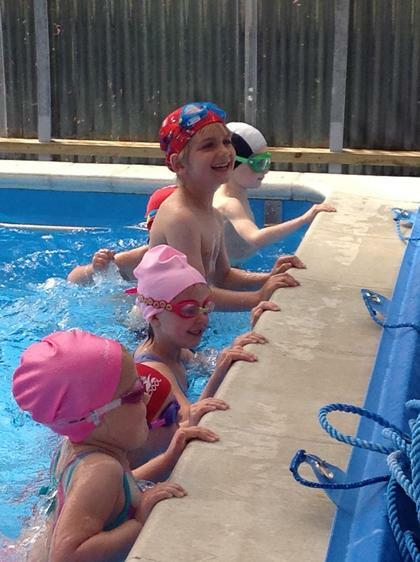 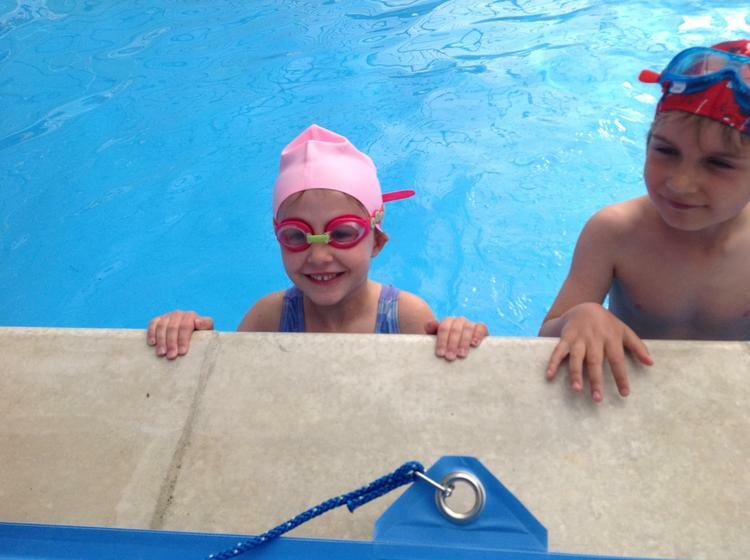 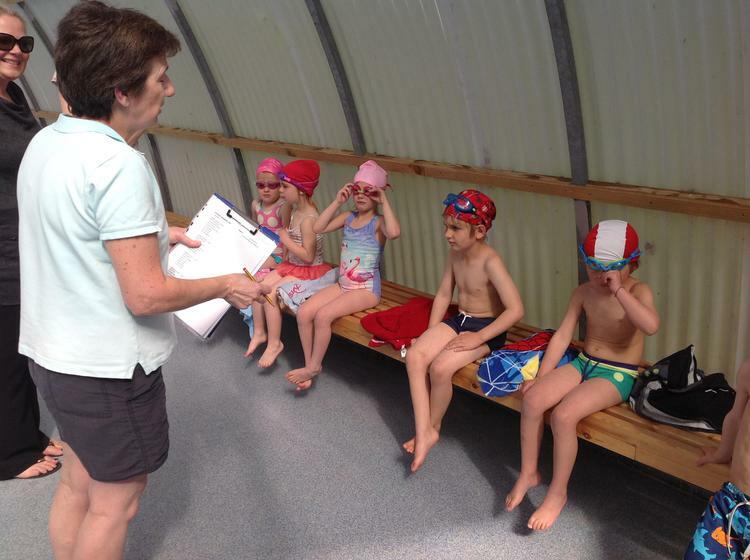 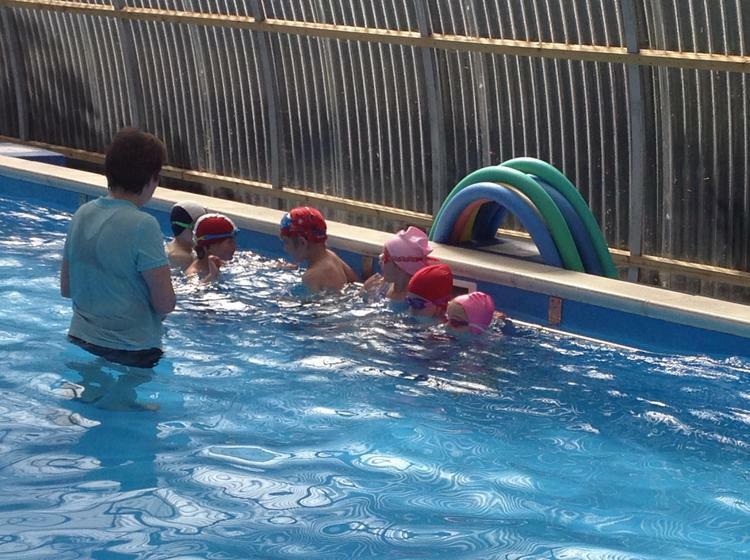 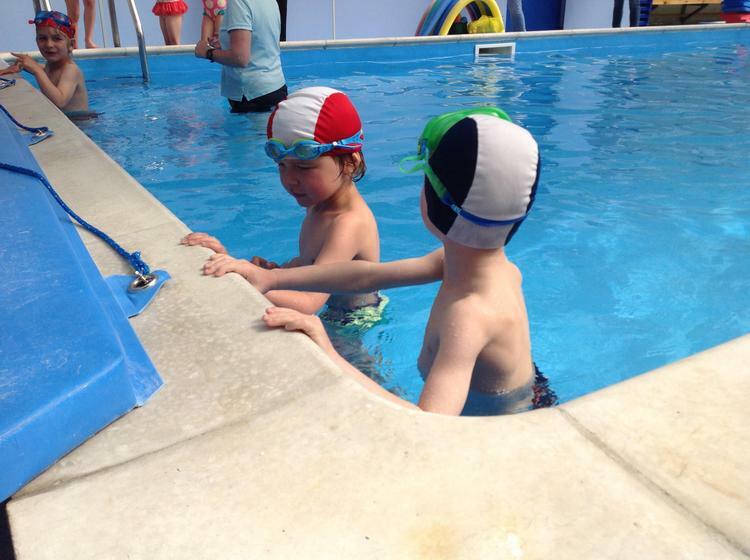 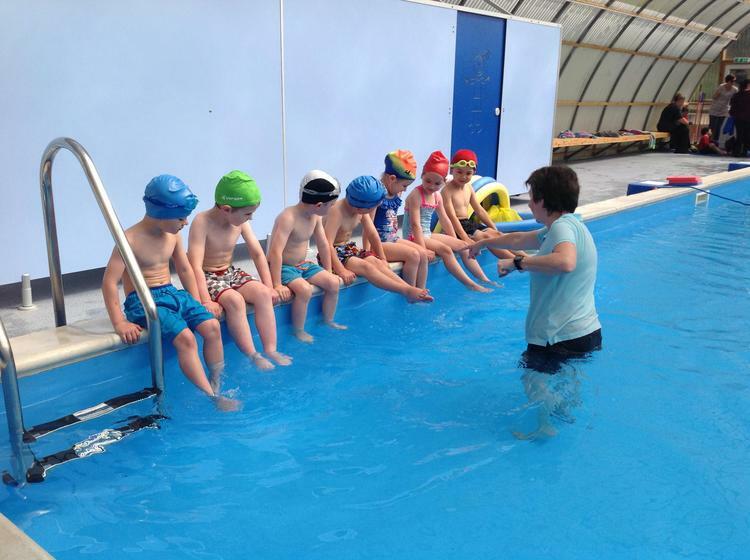 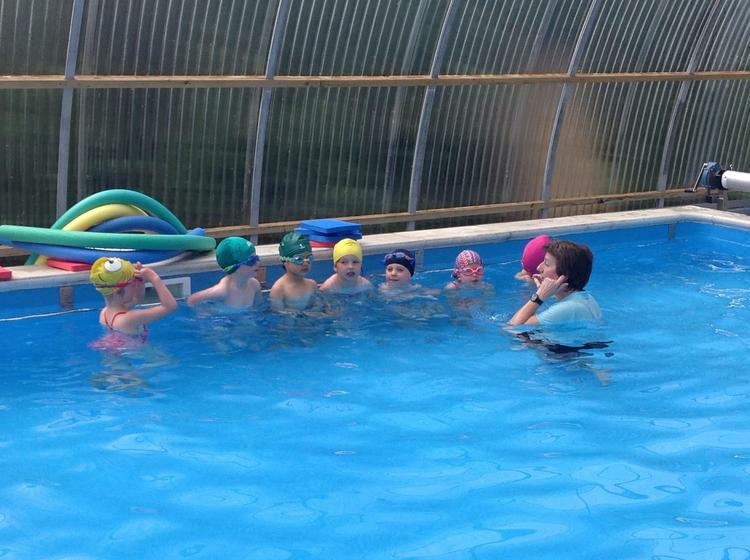 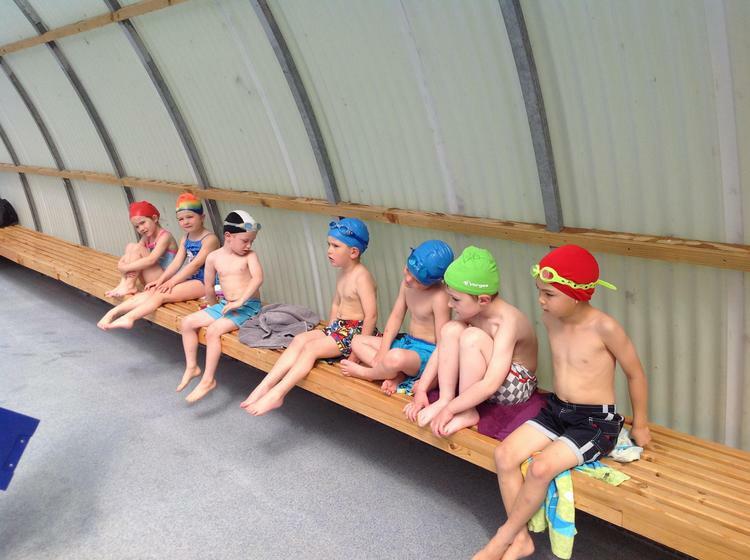 We were very excited for our first swimming lesson in the school pool and we all did a fantastic job! 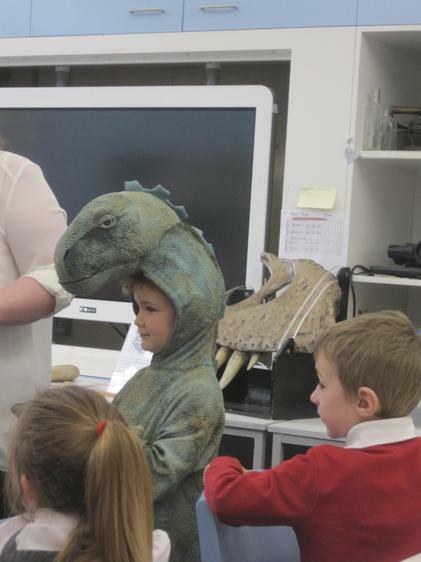 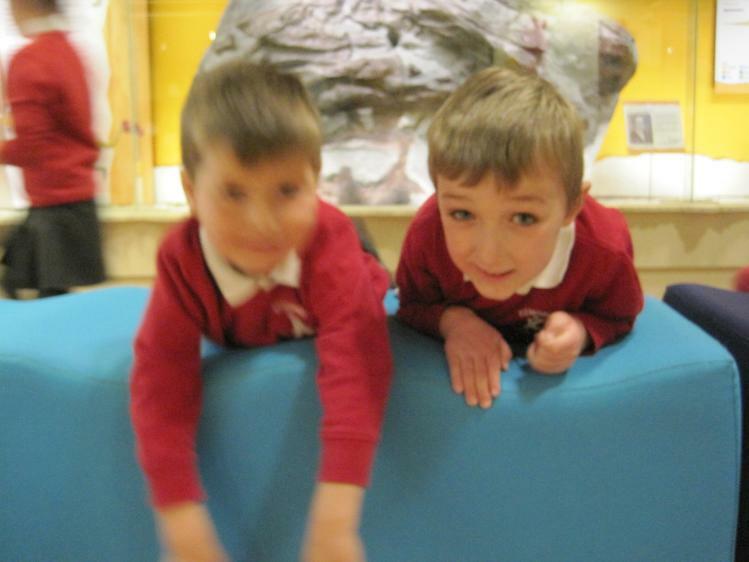 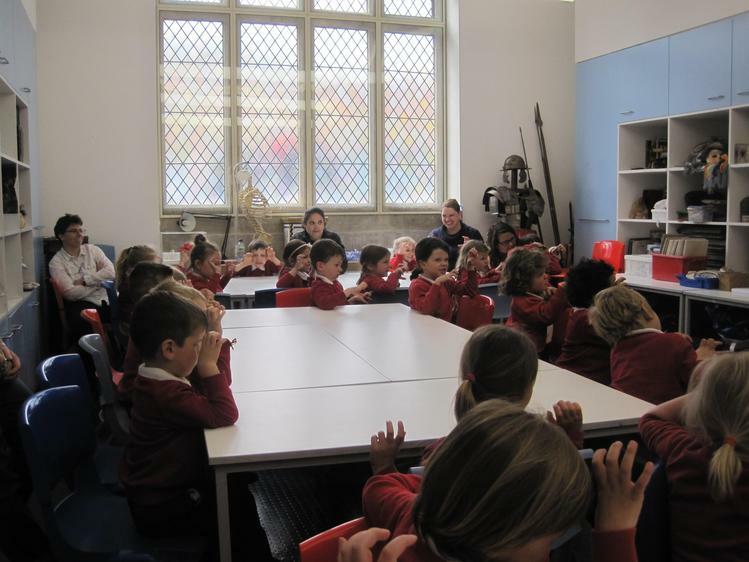 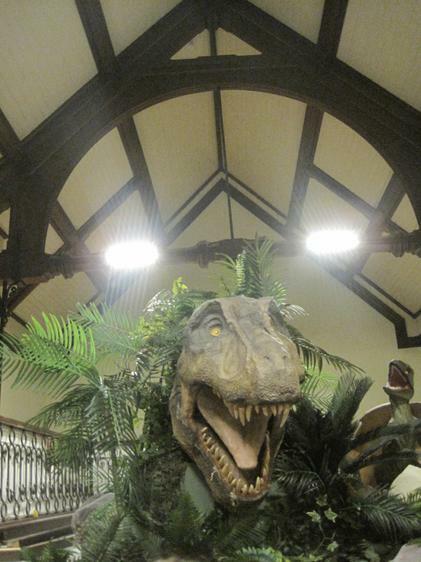 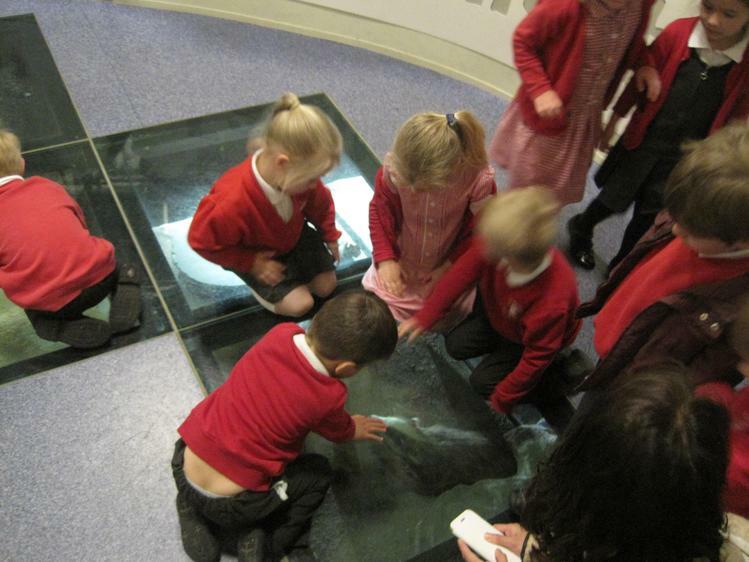 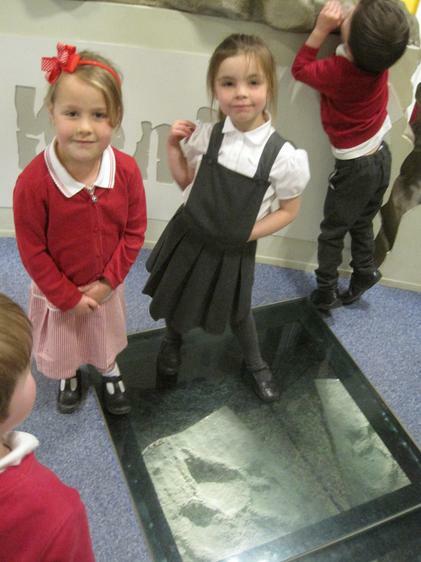 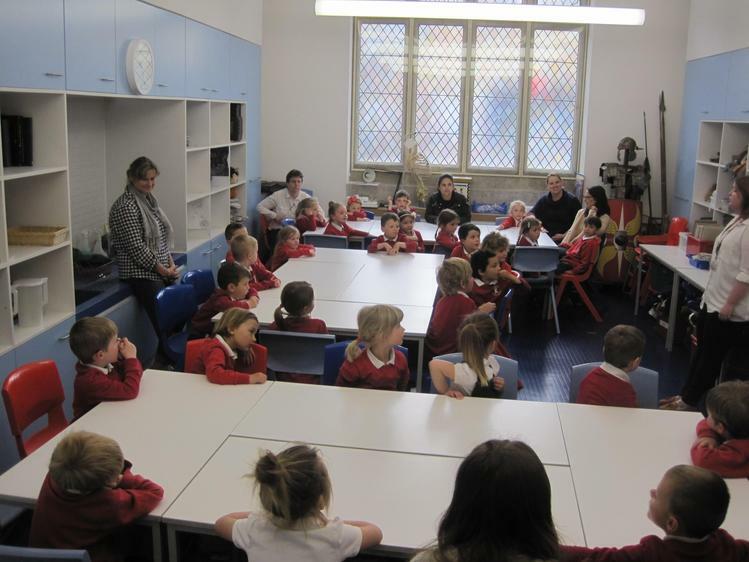 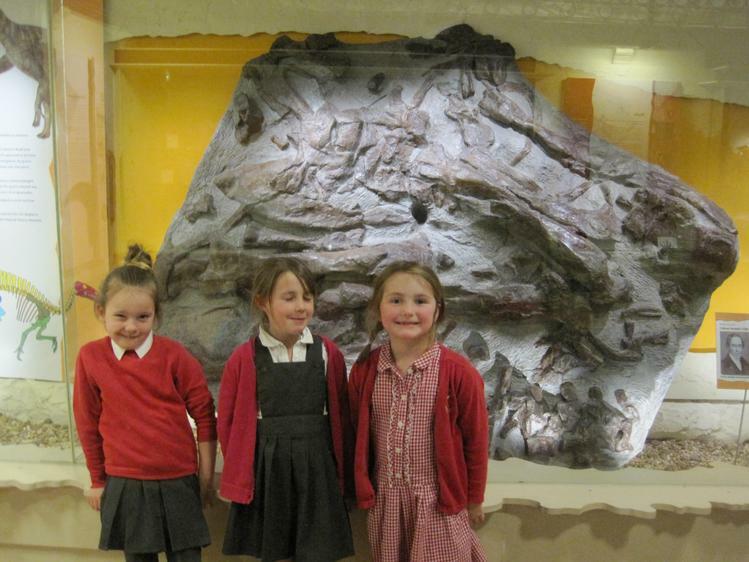 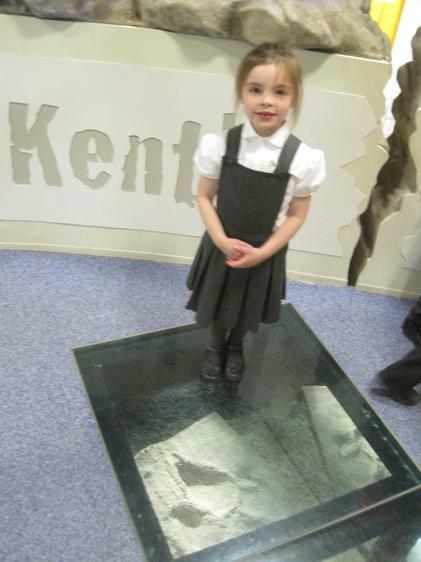 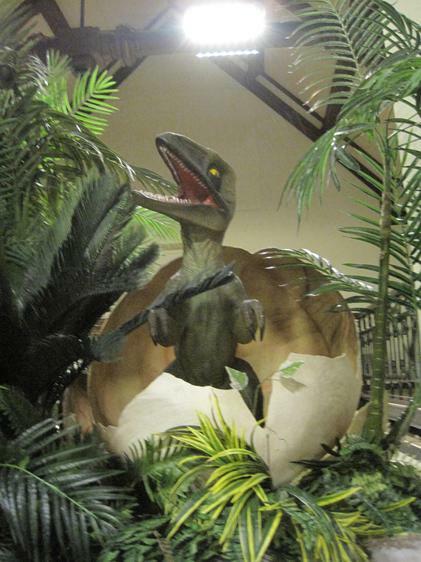 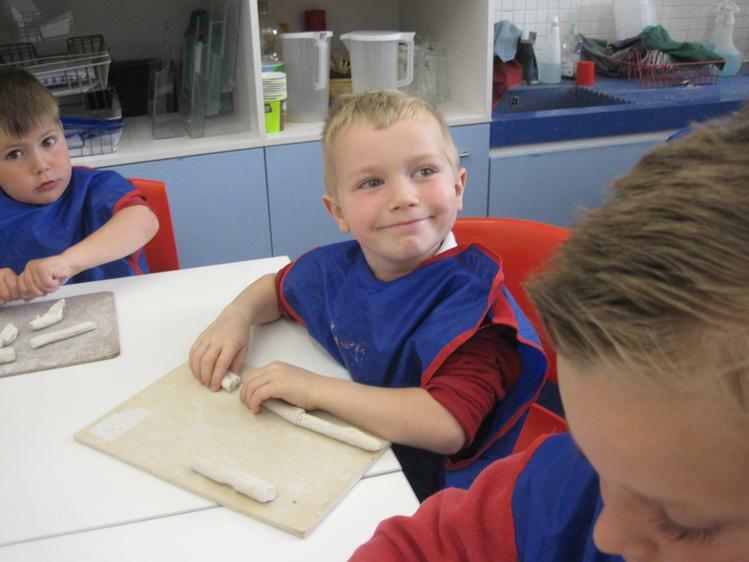 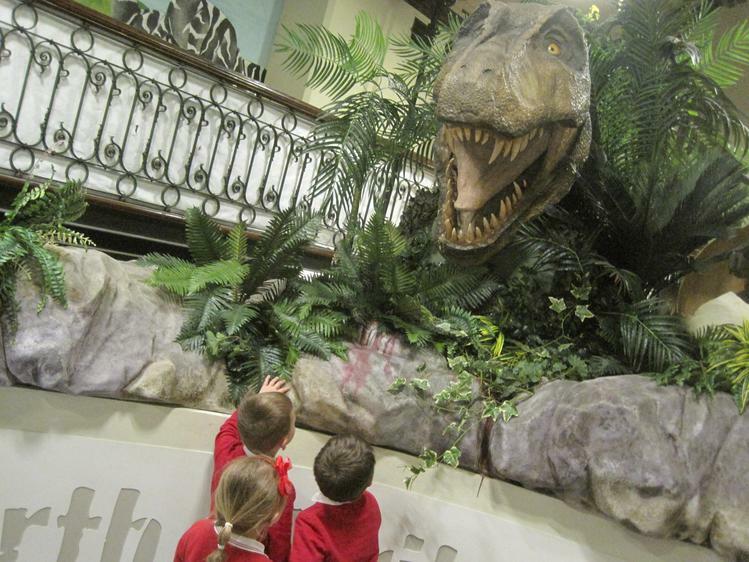 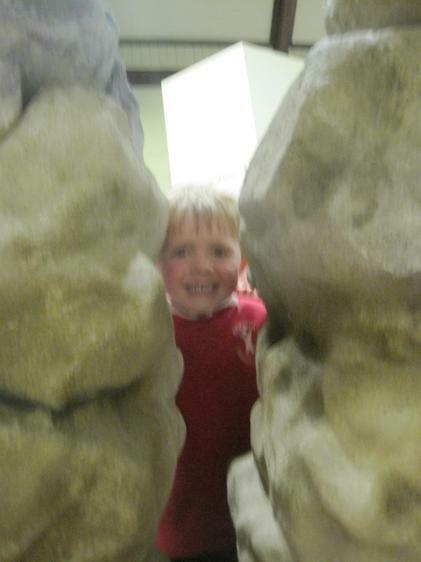 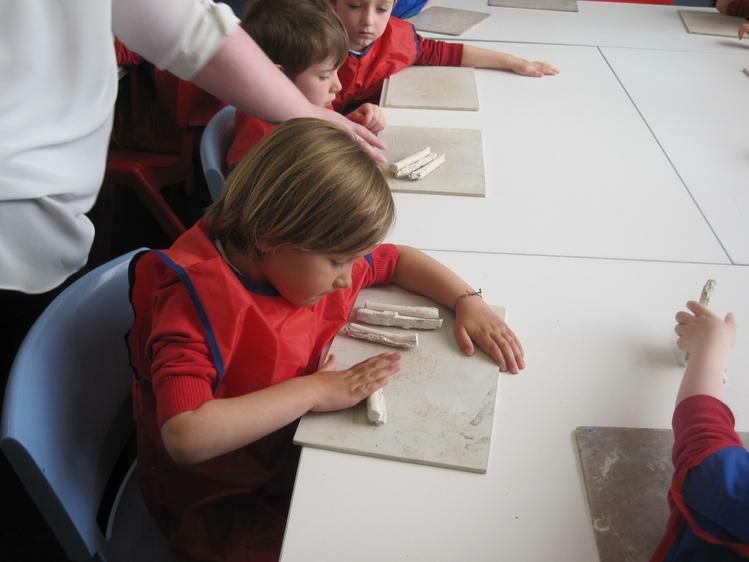 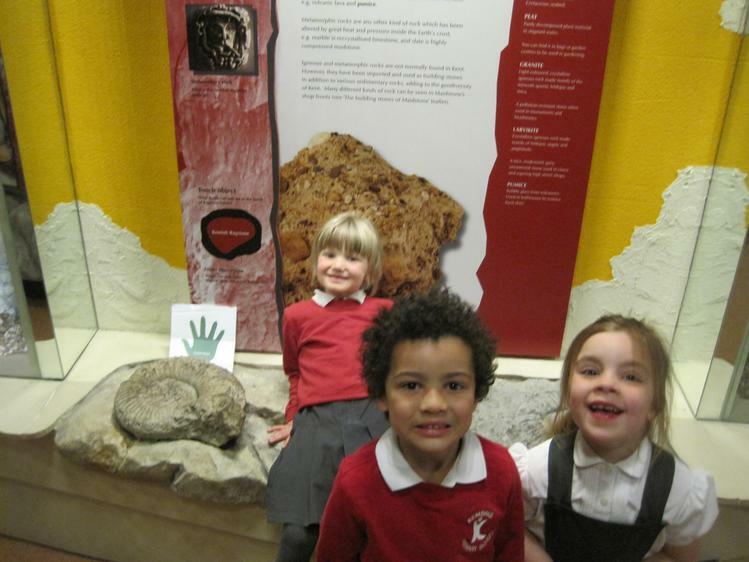 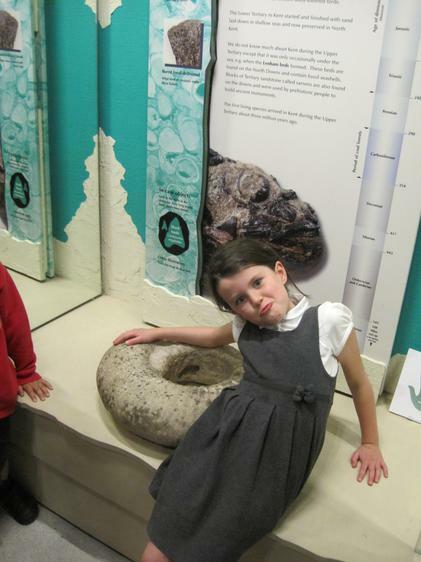 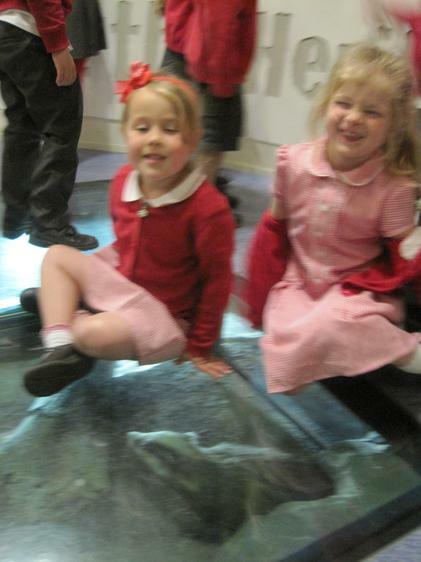 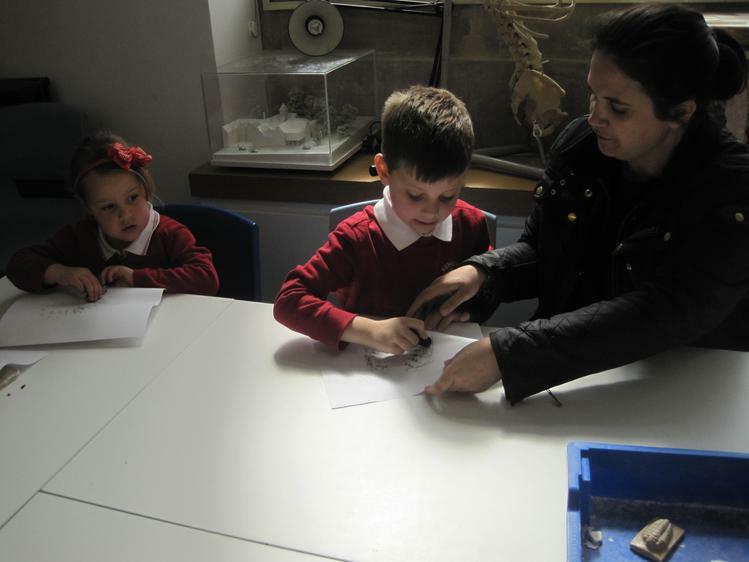 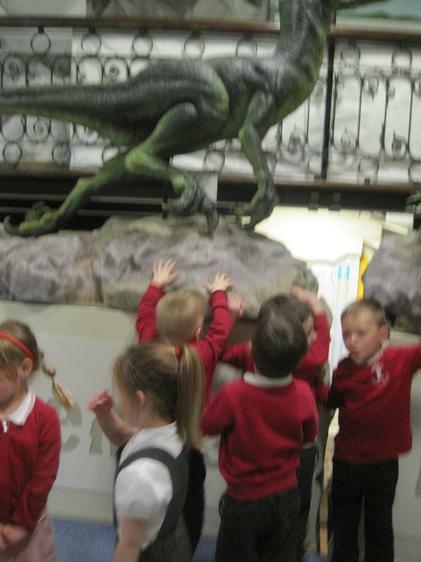 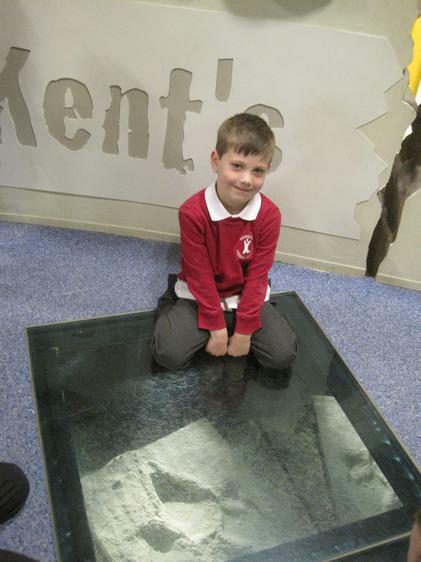 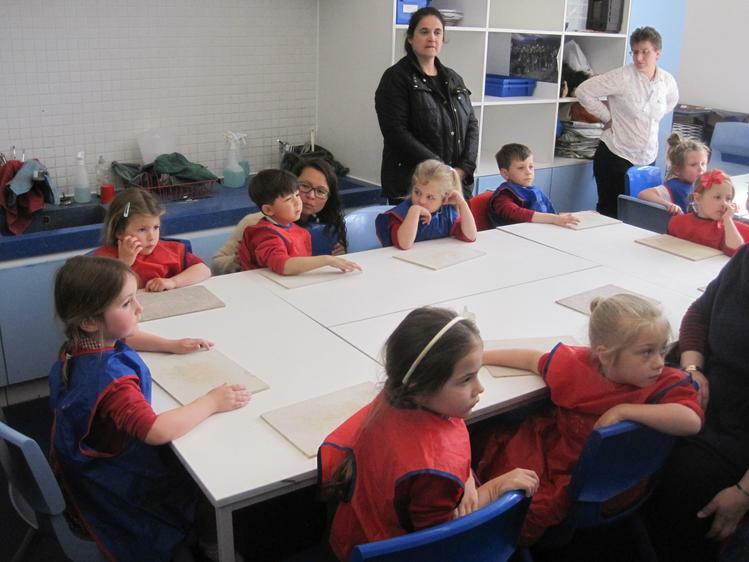 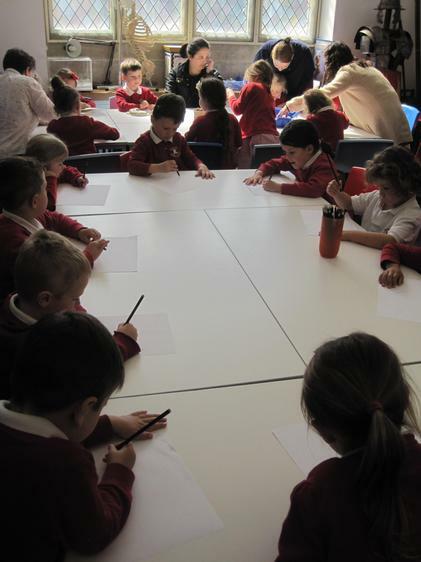 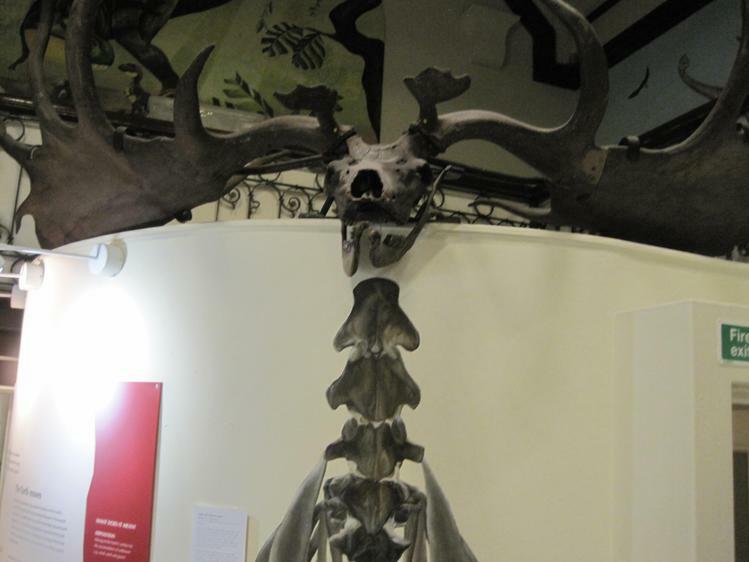 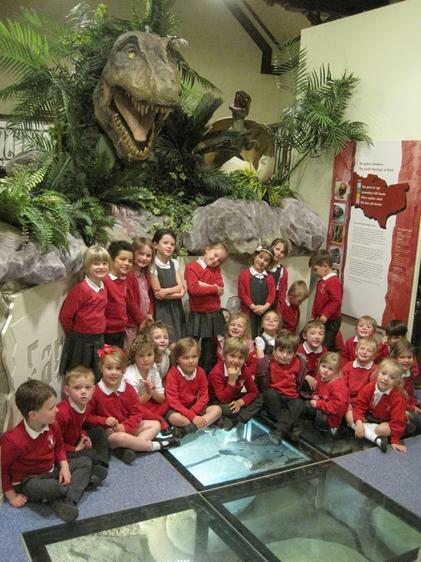 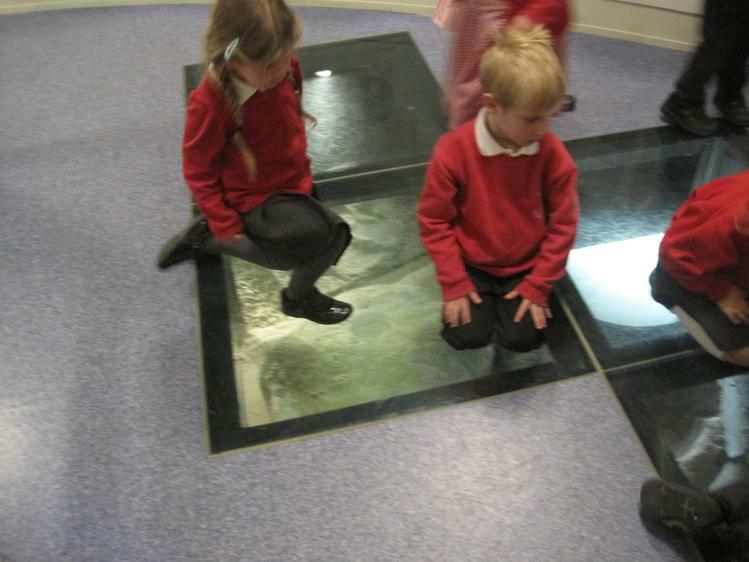 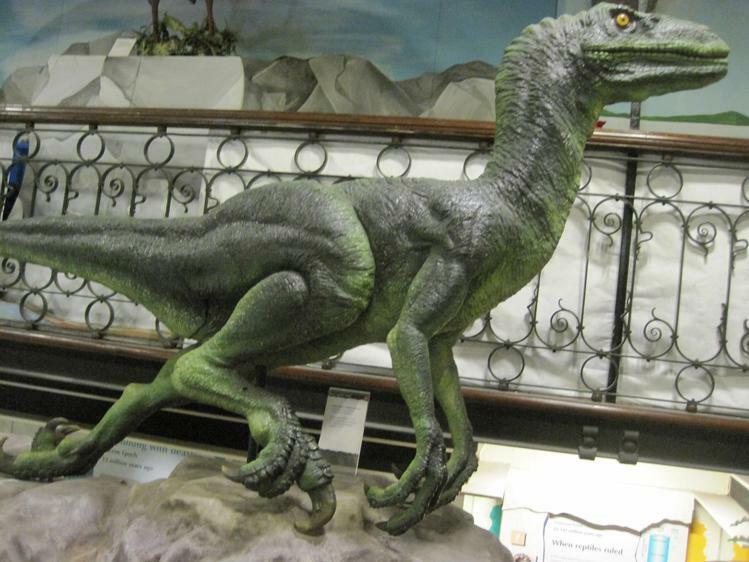 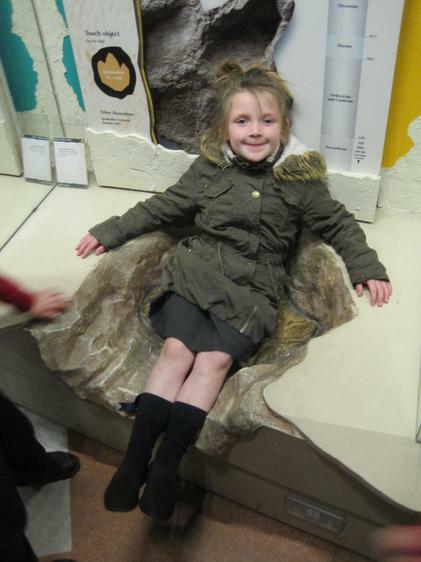 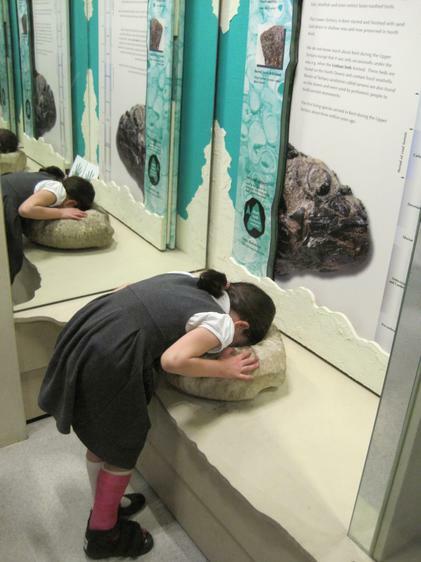 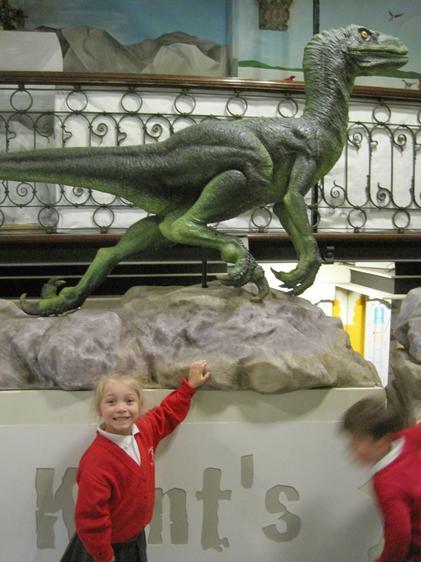 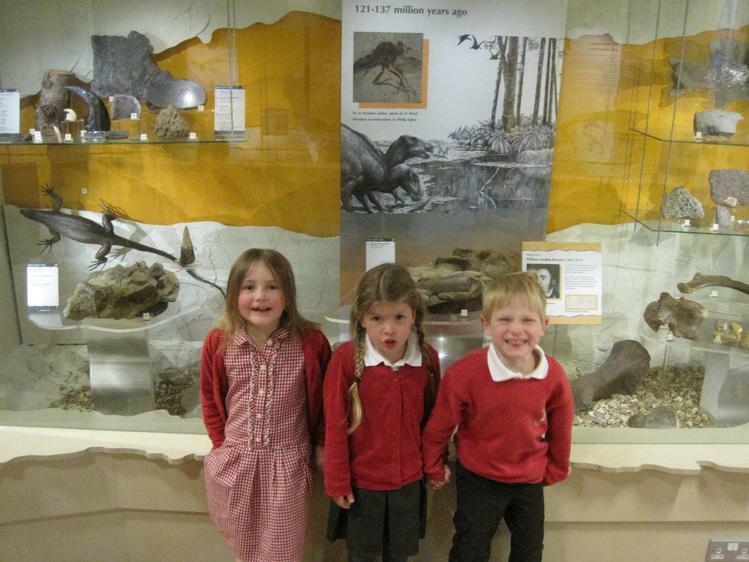 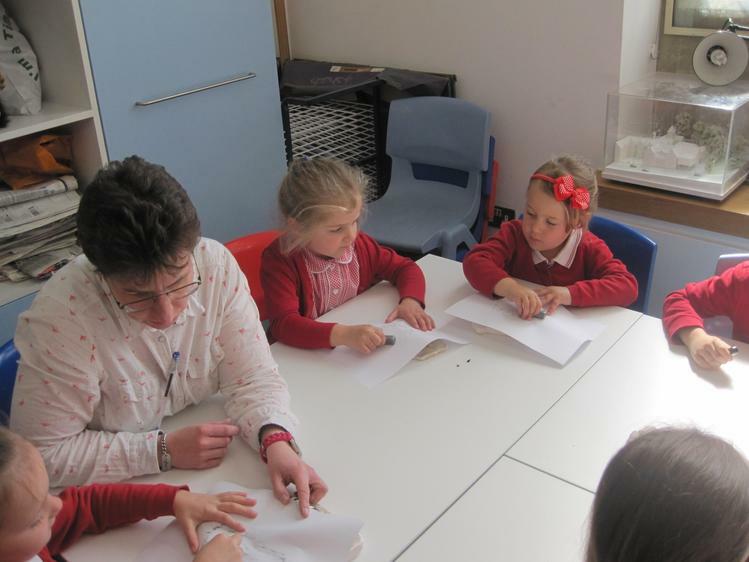 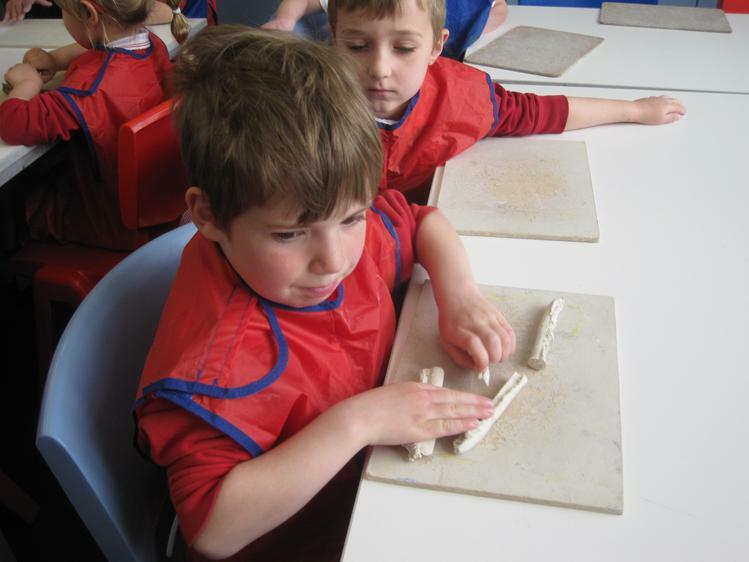 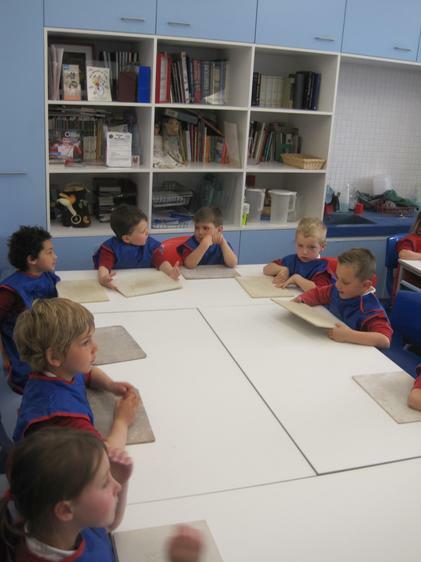 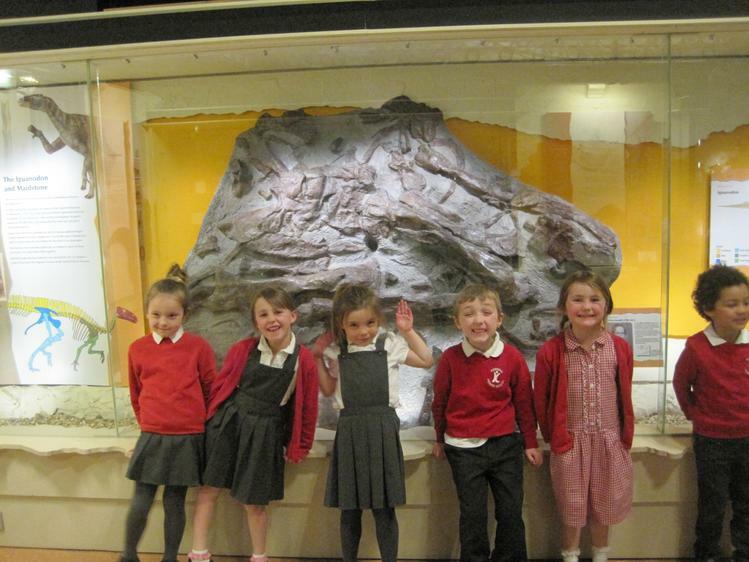 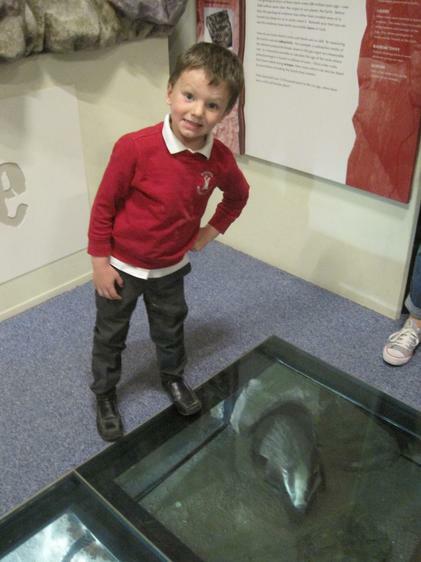 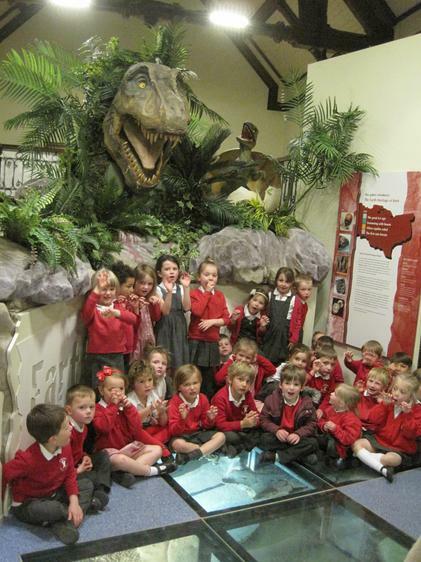 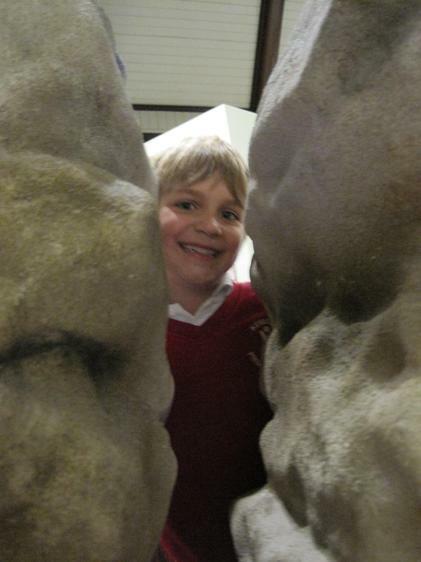 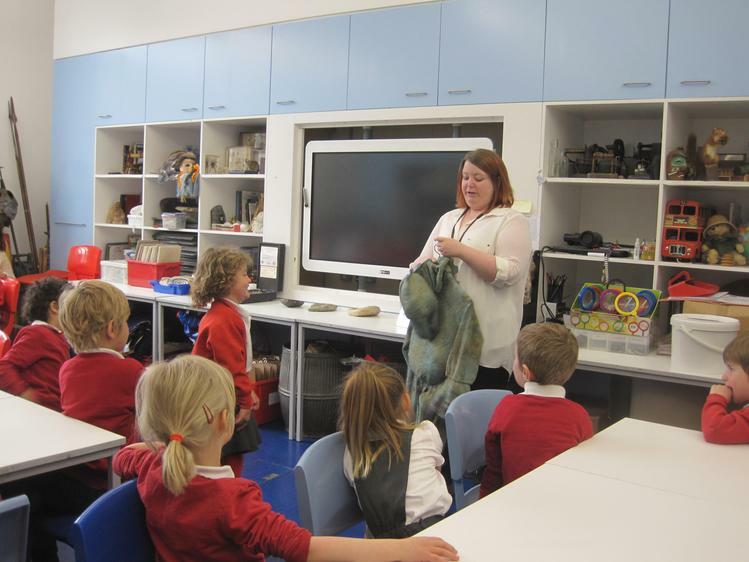 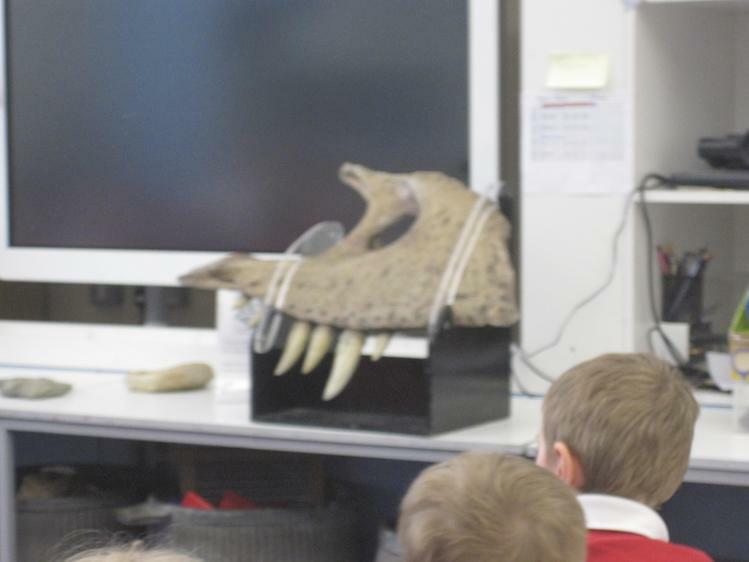 Our class trip to Maidstone Museum. 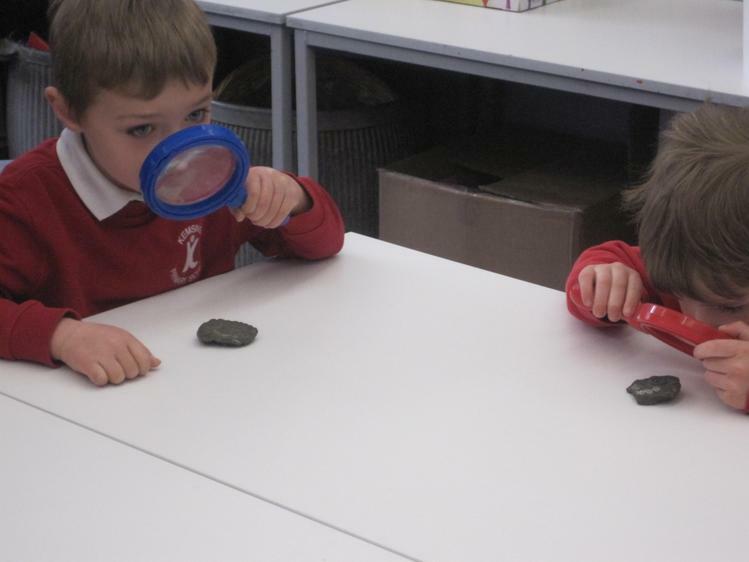 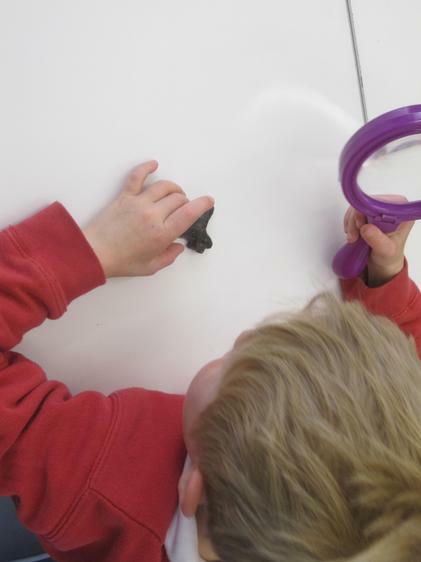 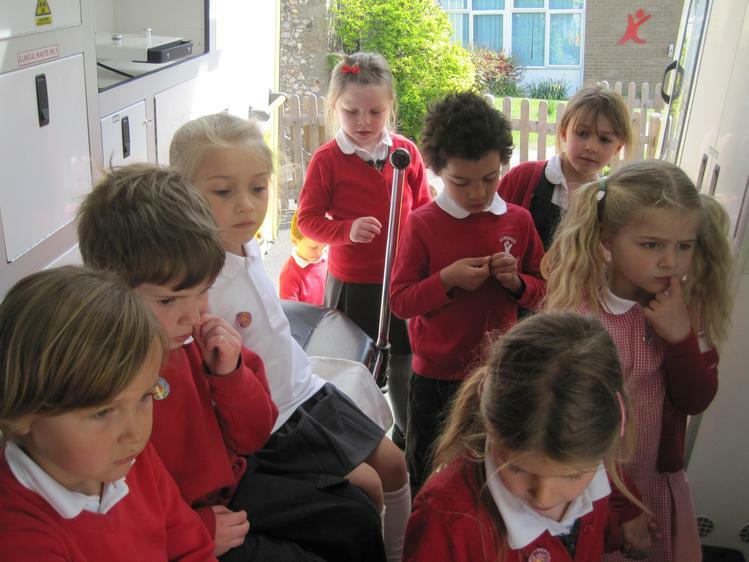 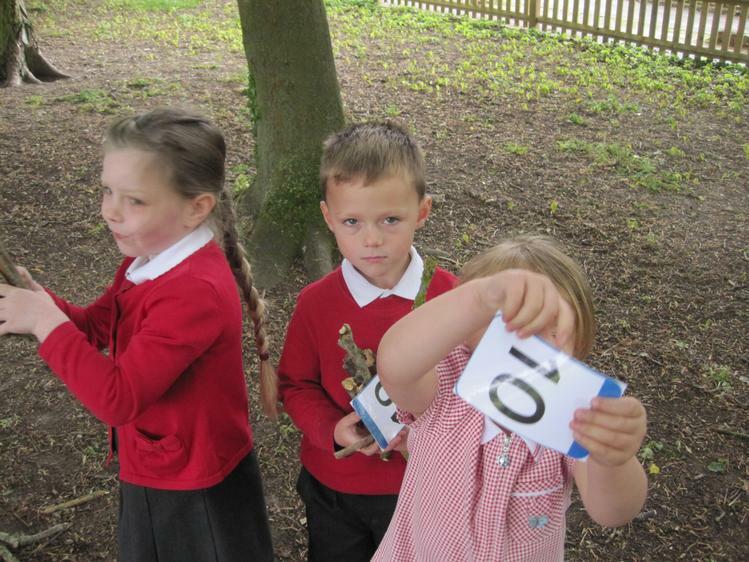 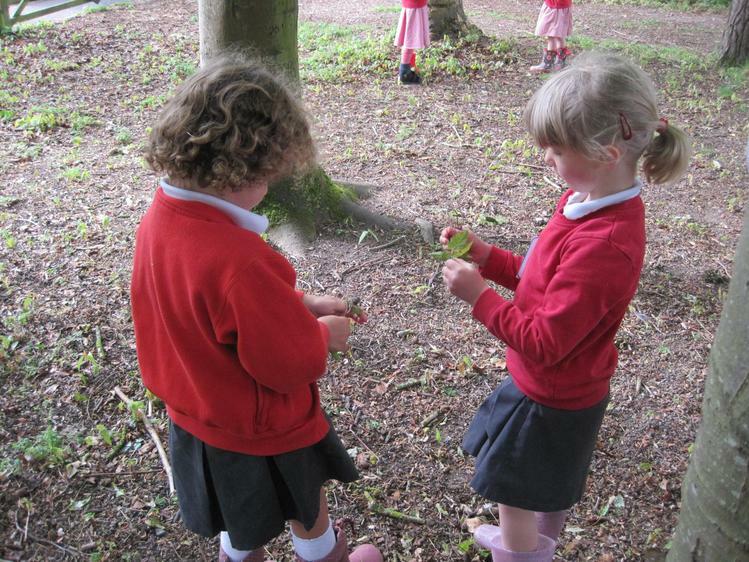 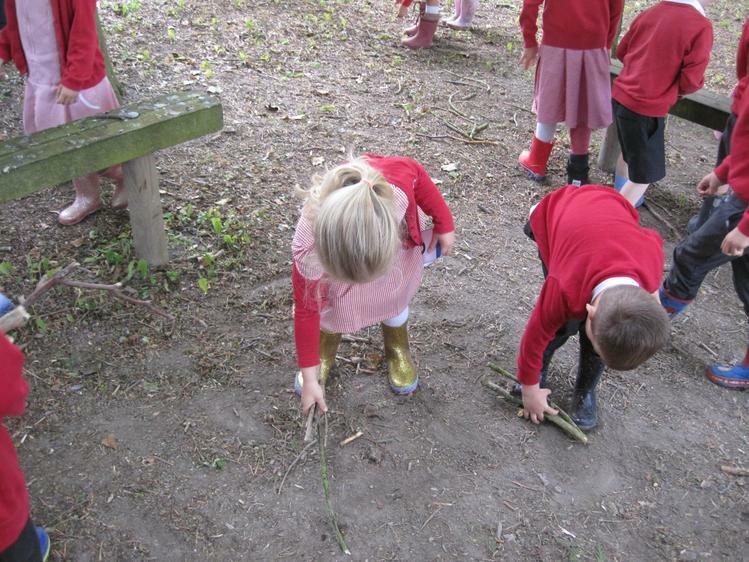 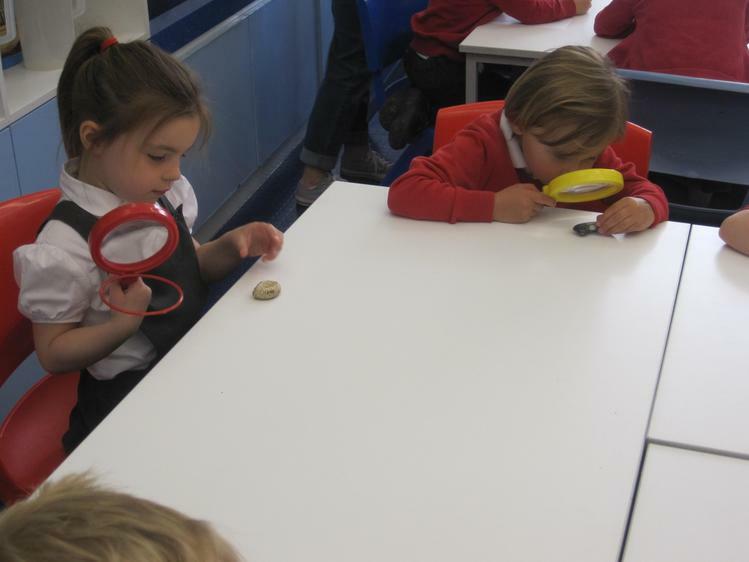 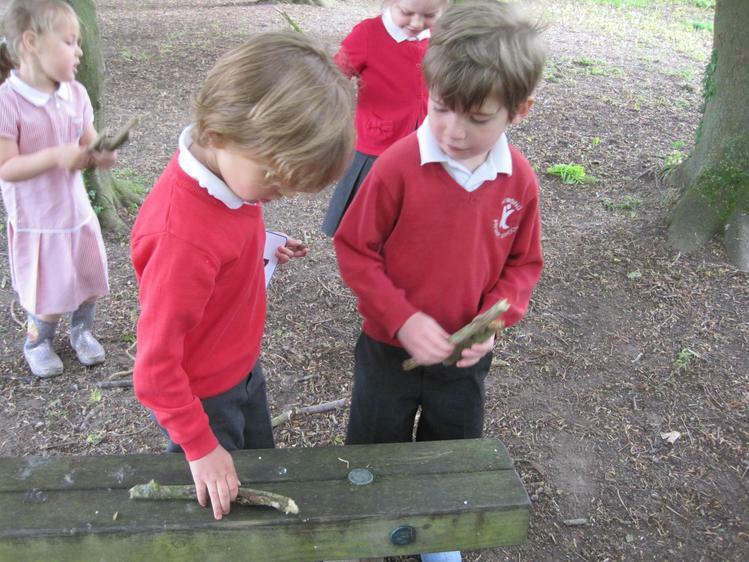 Hunting for 'ear' words in our outdoor classroom. 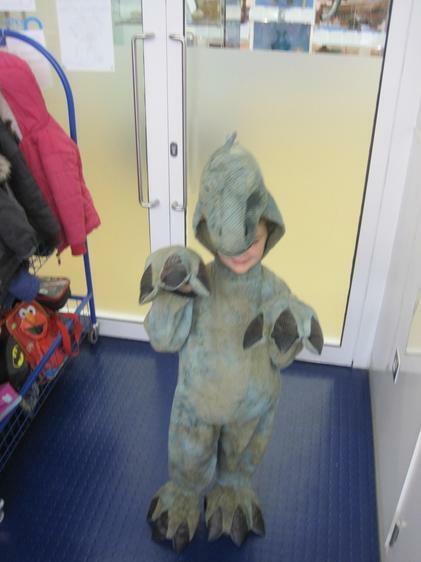 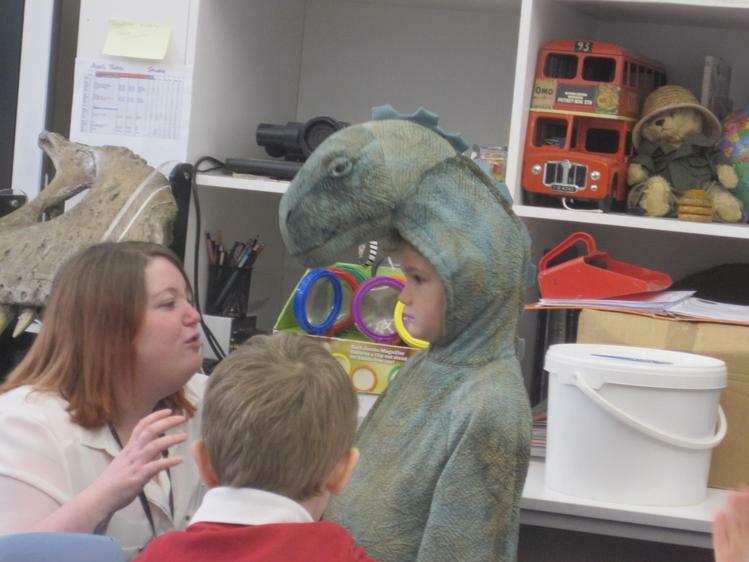 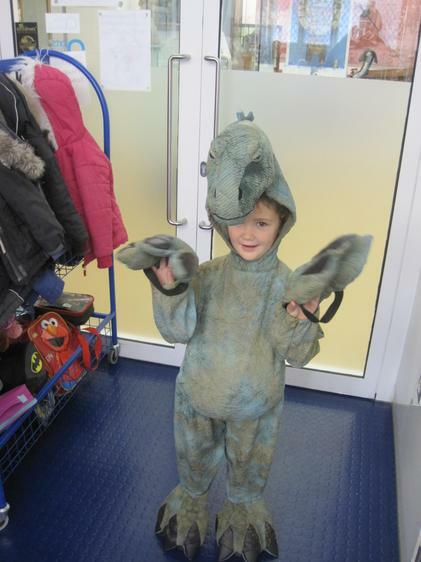 We really like dressing up in our new dressing up costumes! 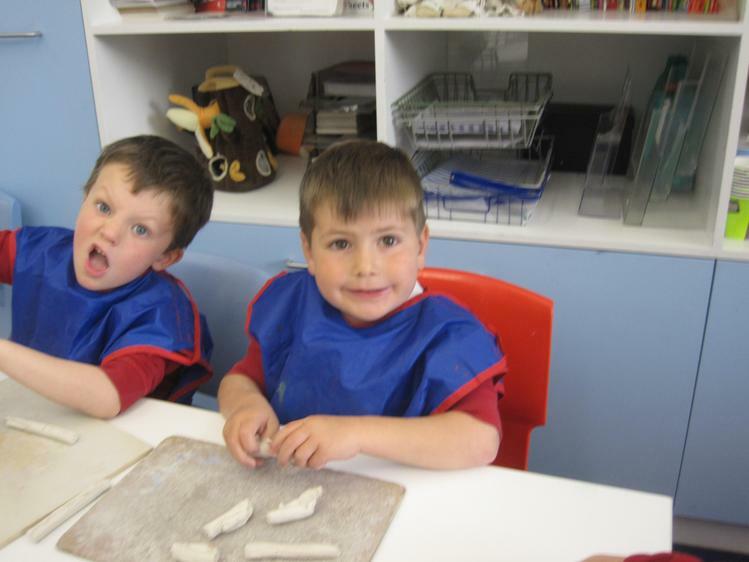 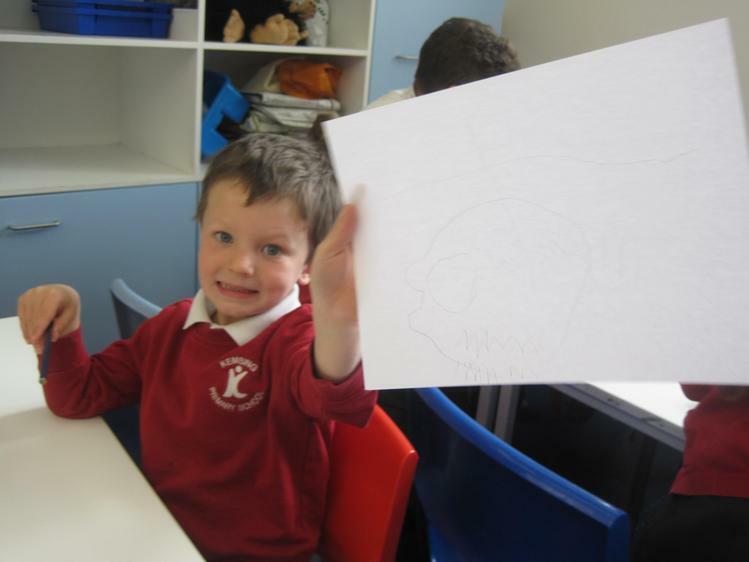 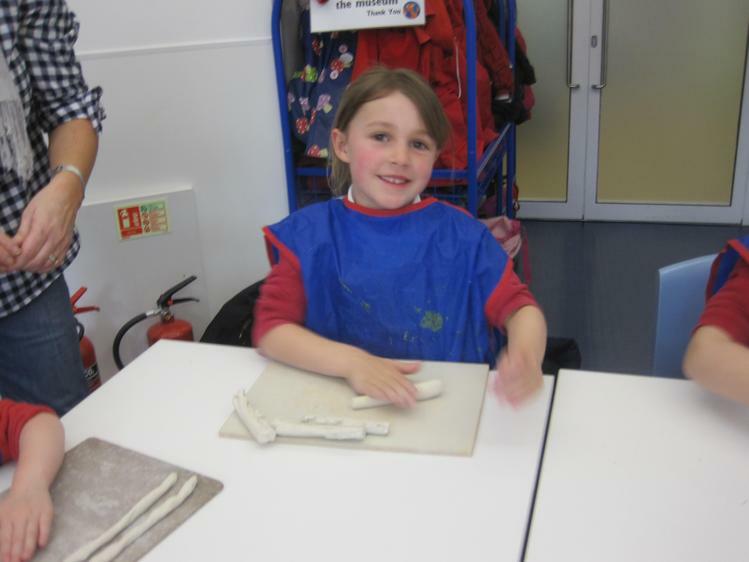 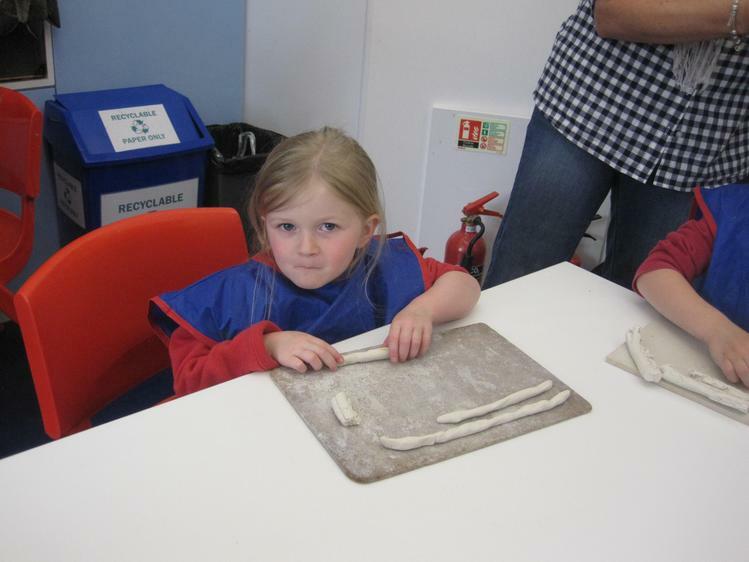 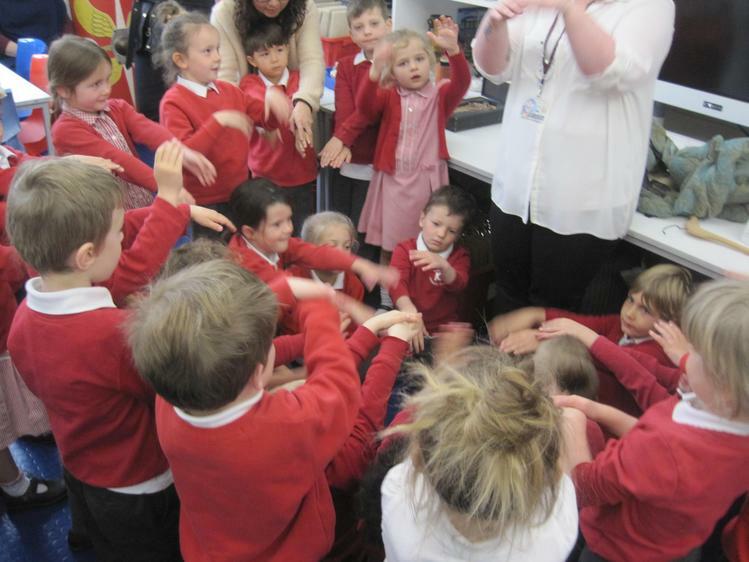 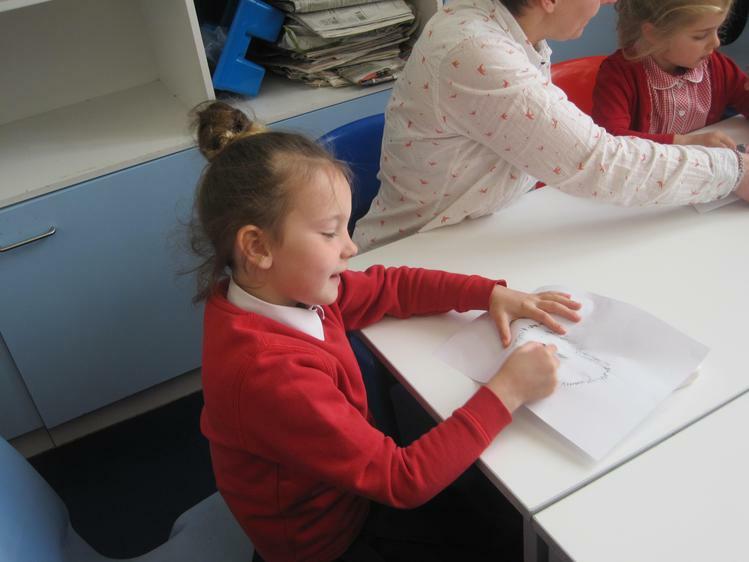 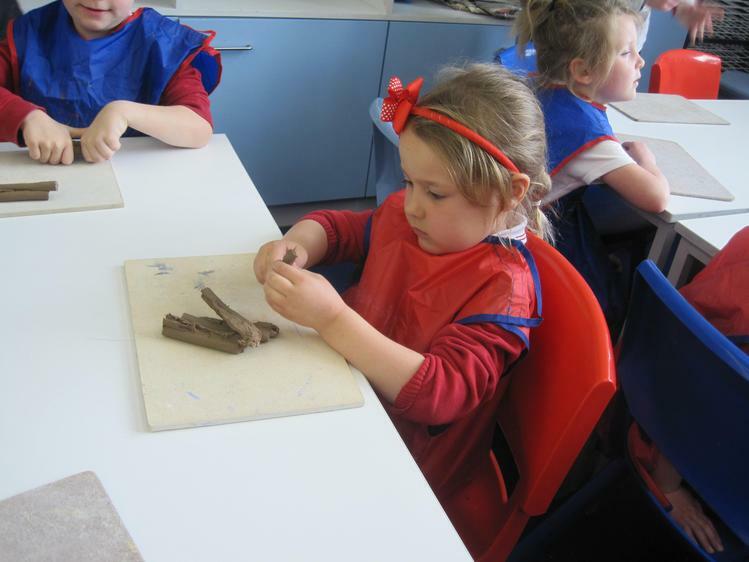 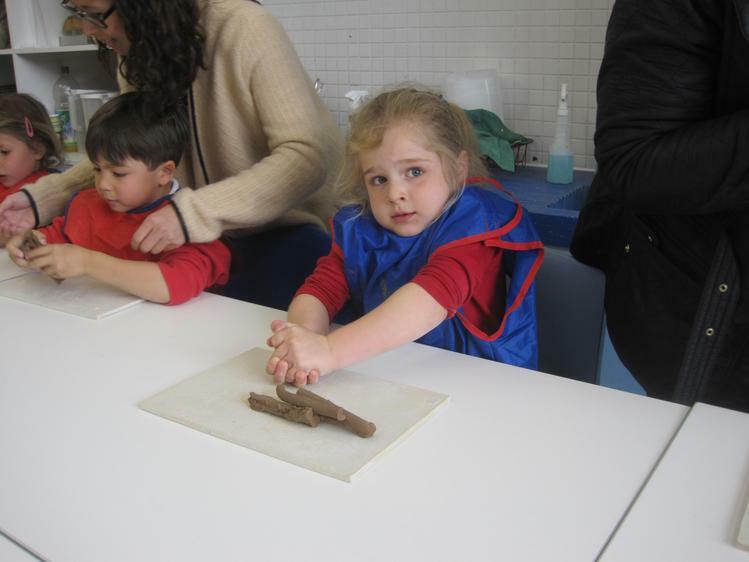 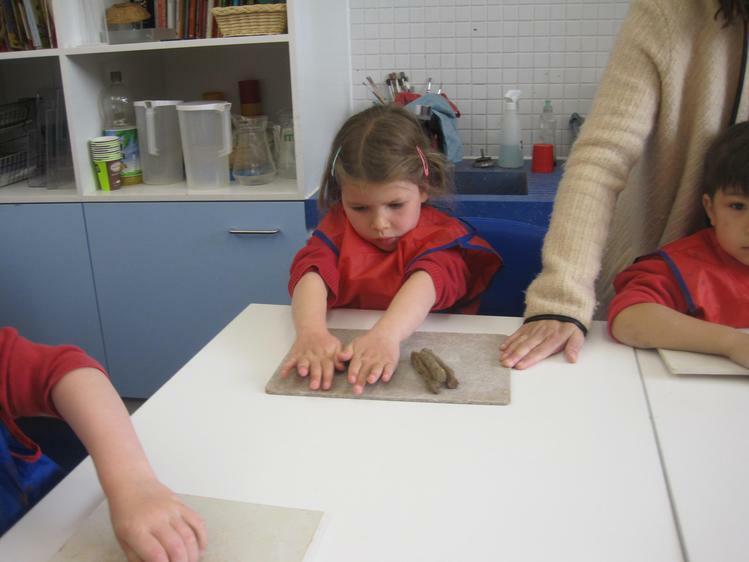 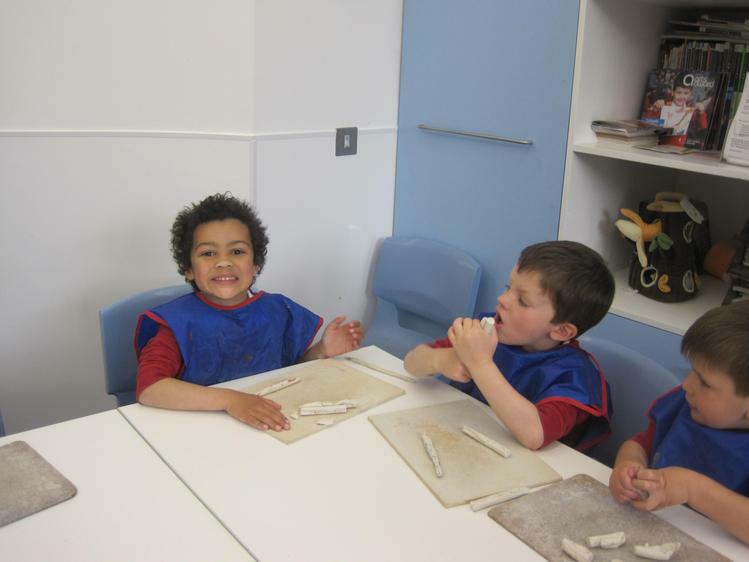 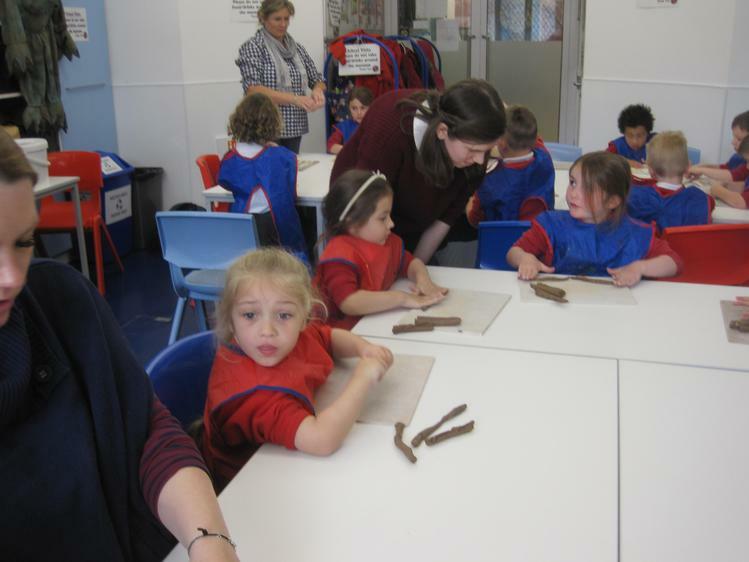 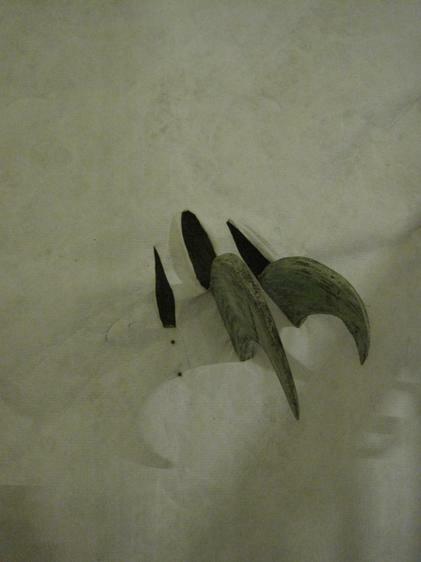 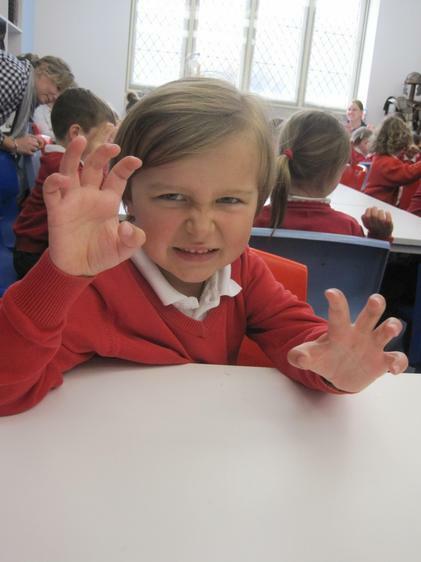 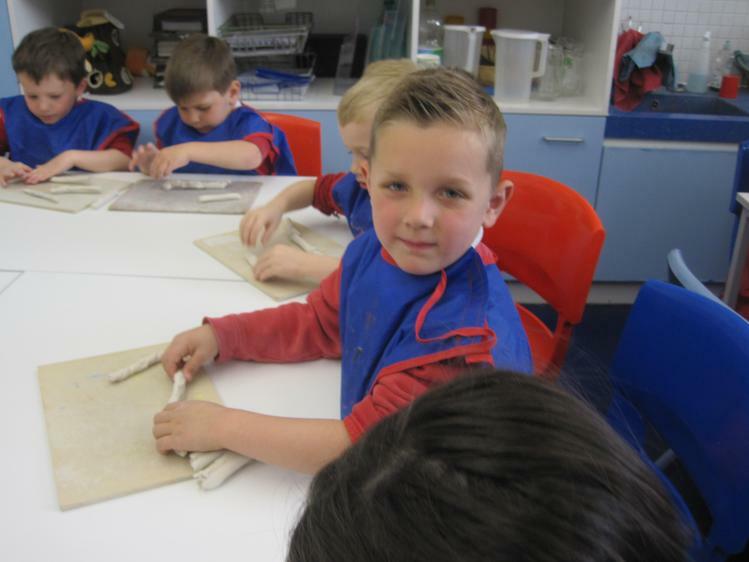 We made our very own 'Bog Baby' from the story 'The Bog Baby' by Jeanne Willis. 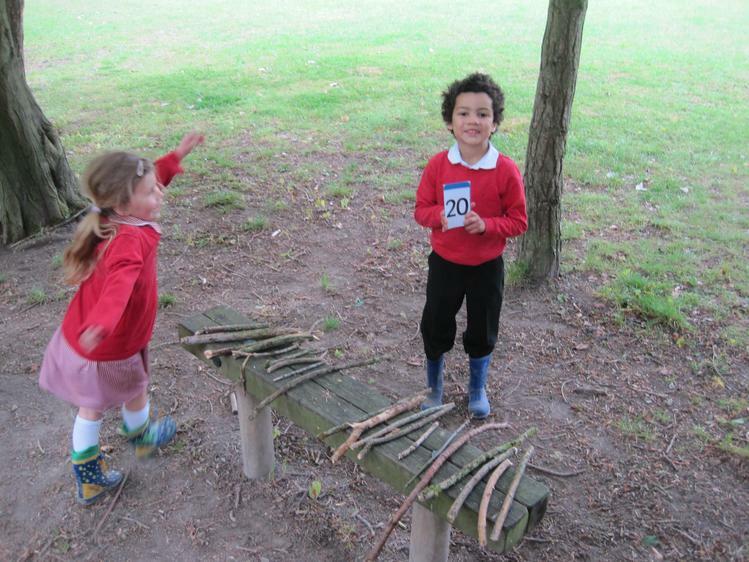 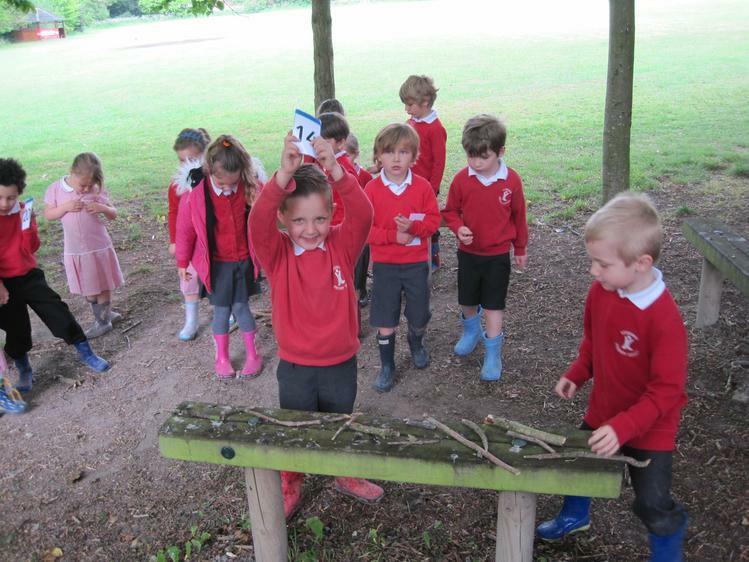 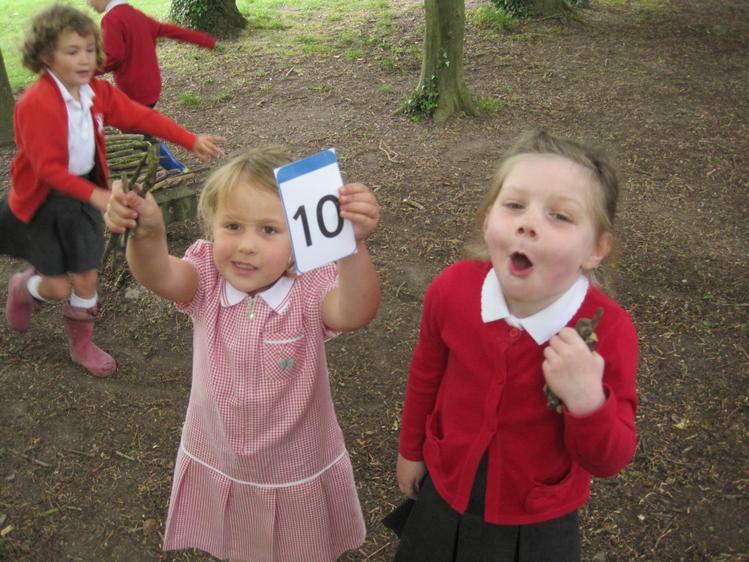 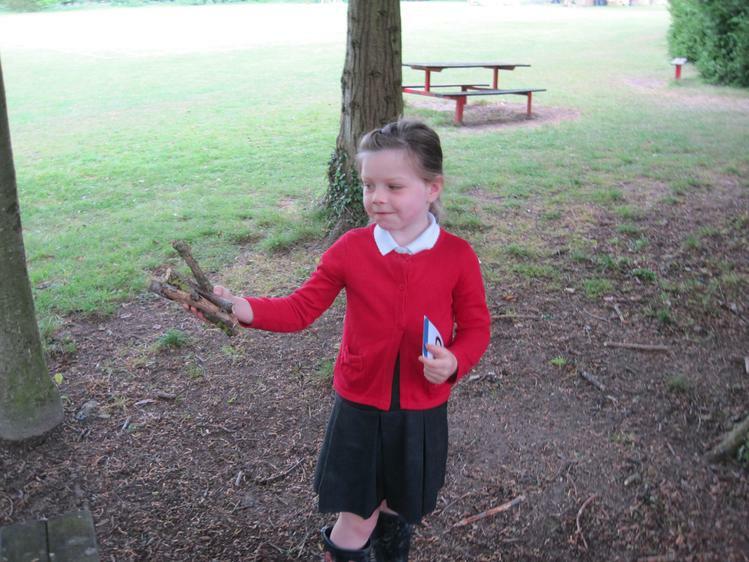 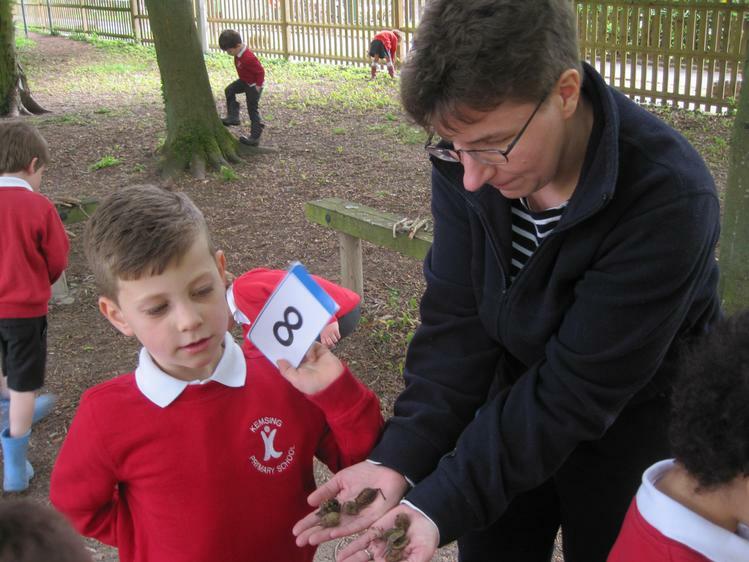 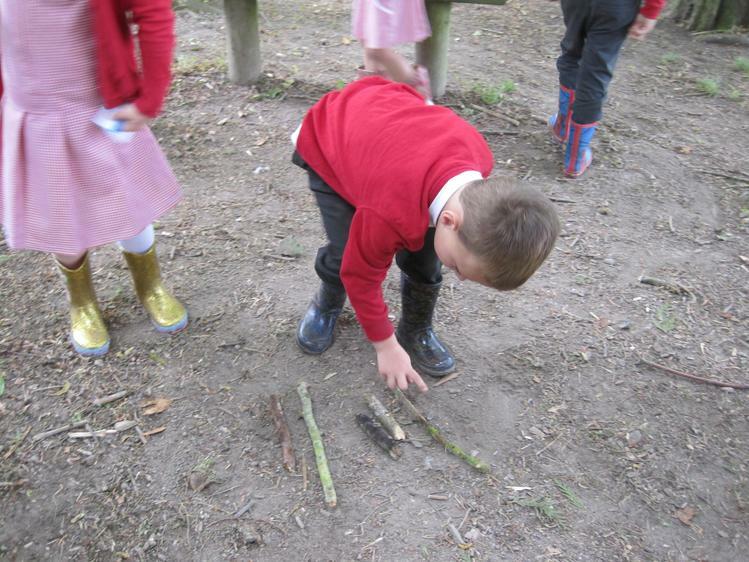 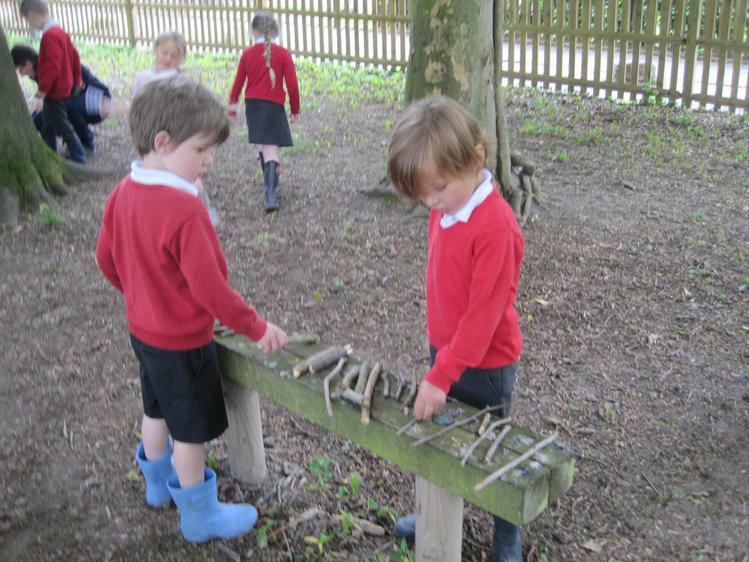 We have been learning to double numbers in the woods! 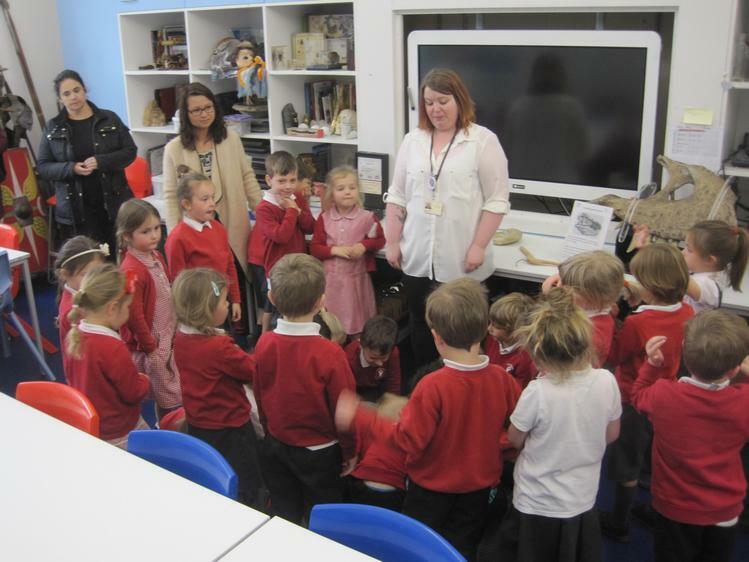 Our trip to the library.